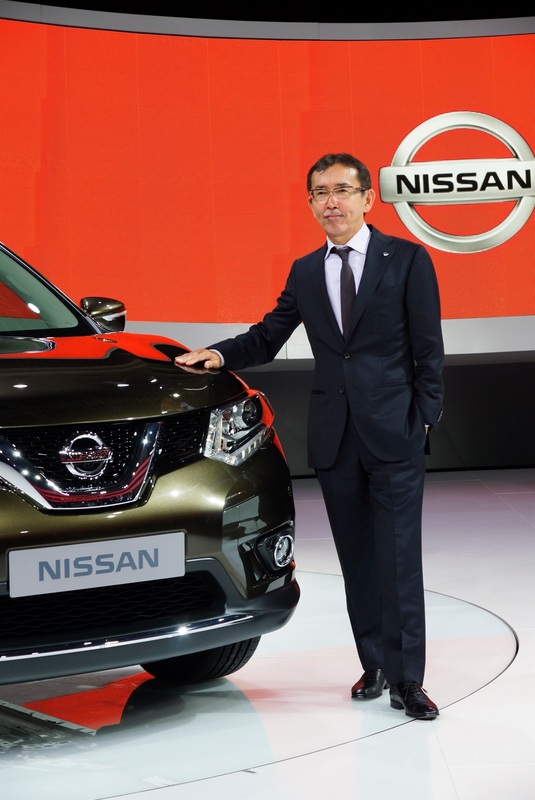 Χθες το είδαμε σε μια φωτογραφία και σήμερα η Nissan το παρουσίασε επίσημα στην έκθεση της Φρανκφούρτης. 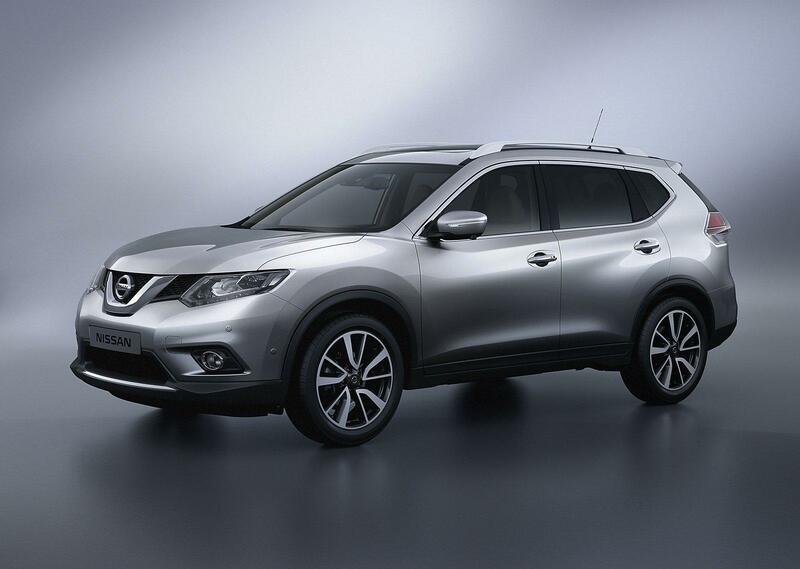 Το νέο Nissan X-Trail, το οποίο θα πωλείται στην Αμερική ως Rogue, δανείζεται αρκετά στοιχεία από το Hi Cross Concept, διαθέτοντας χρωμιομένα διακοσμητικά, μαύρα προστατευτικά πλαστικά και αεροτομή. 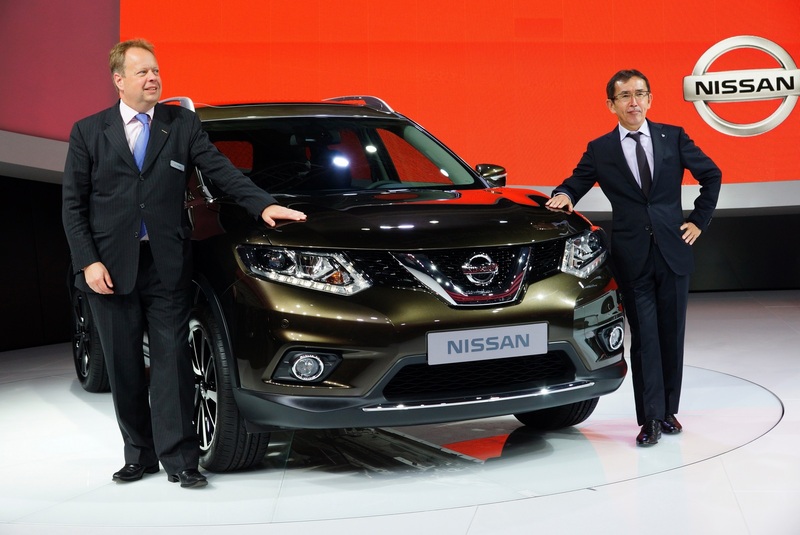 Σε σχέση με τη προηγούμενη γενιά, το νέο Nissan X-Trail είναι έχει πιο στιλάτη σχεδίαση με ανάγλυφες μυώδεις γραμμές και ζάντες 19″. 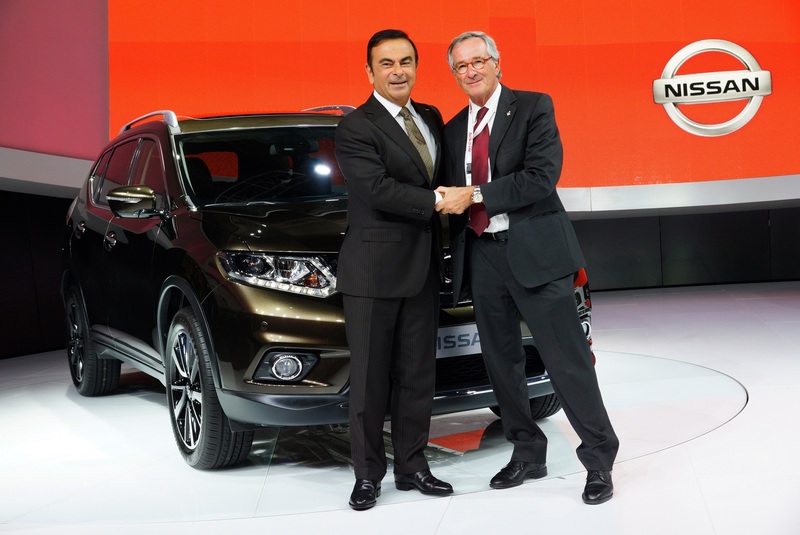 Το νέο Ιαπωνικό SUV θα κατασκευαστεί πάνω στην CMF πλατφόρμα της Nissan και θα προσφέρεται τόσο σε δικίνιτες όσο και σε τετρακίνητες εκδόσεις. 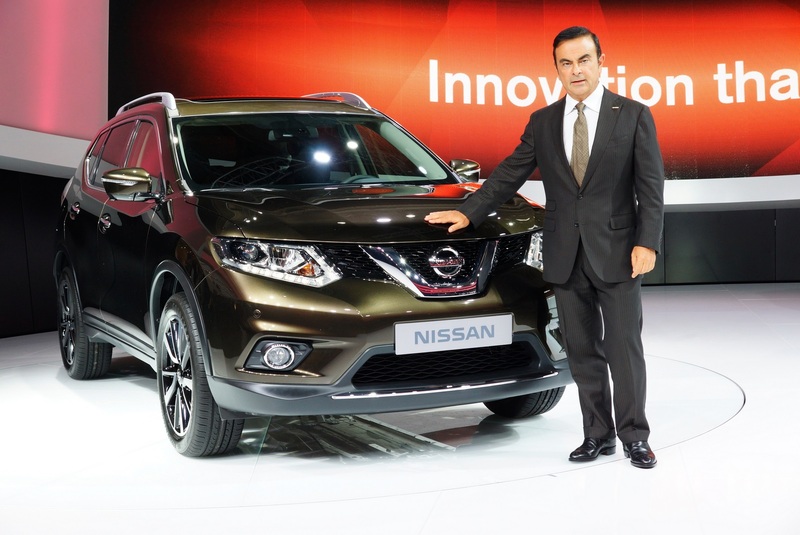 Οι πωλήσεις του θα ξεκινήσουν το πρώτο τρίμηνο του 2014. 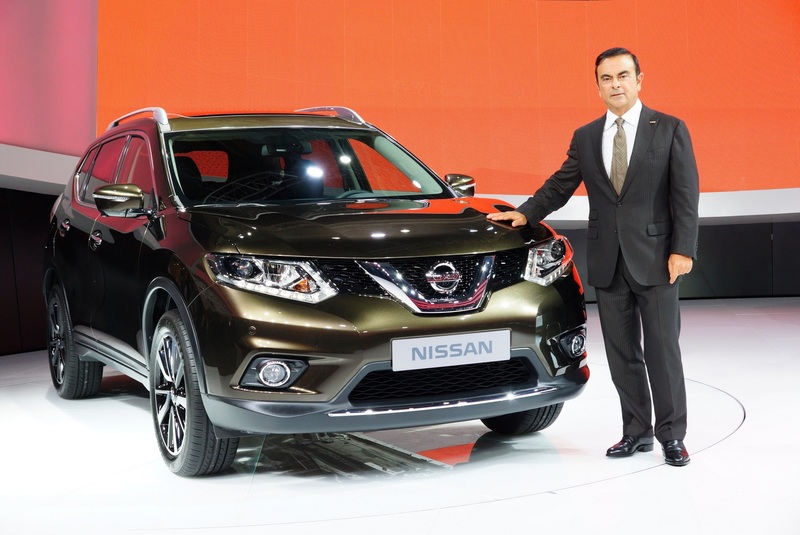 Στο εσωτερικό συναντάμε αρκετά μεταλλικά, χρωμιομένα και μαύρα γυαλιστερά διακοσμητικά και προσφέρεται τόσο σε πεντάθεσια όσο και σε επταθέσια έκδοση. 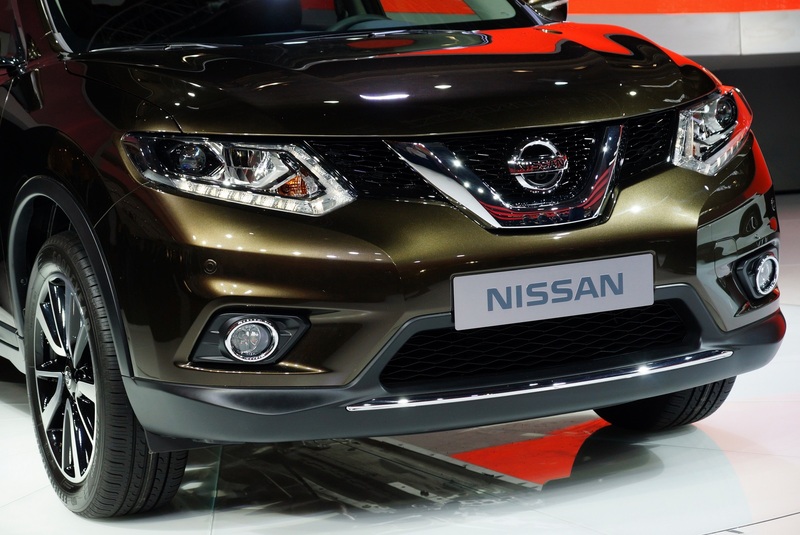 Τα καθίσματα μπορούν να επενδυθούν είτε με ύφασμα είτε με δέρμα, με τις πίσω πόρτες να ανοίγουν κατά 80 μοίρες, έτσι ώστε να διευκολύνεται η εύκολη είσοδος/έξοδος των επιβατών. 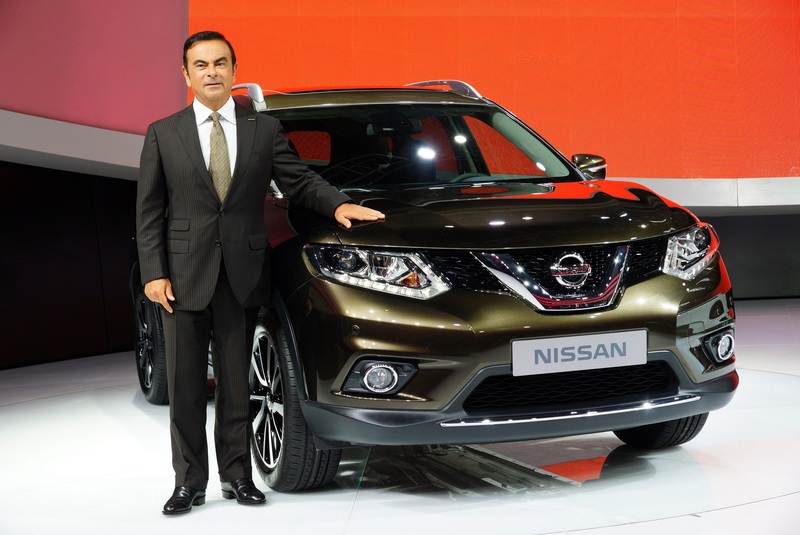 Με τι κινητήρες θα εξοπλίζεται η Nissan δεν το ανακοίνωσε, αλλά αναφέρει πως το έχει εξοπλίσει με την τελευταία γενιά του συστήματος τετρακίνησης ALL MODE 4x4i, ο χειρισμός του οποίου, γίνεται μέσω ενός περιστροφικού διακόπτη στη κεντρική κονσόλα που διαθέτει 3 λειτουργίες (2WD, Auto mode, Lock). 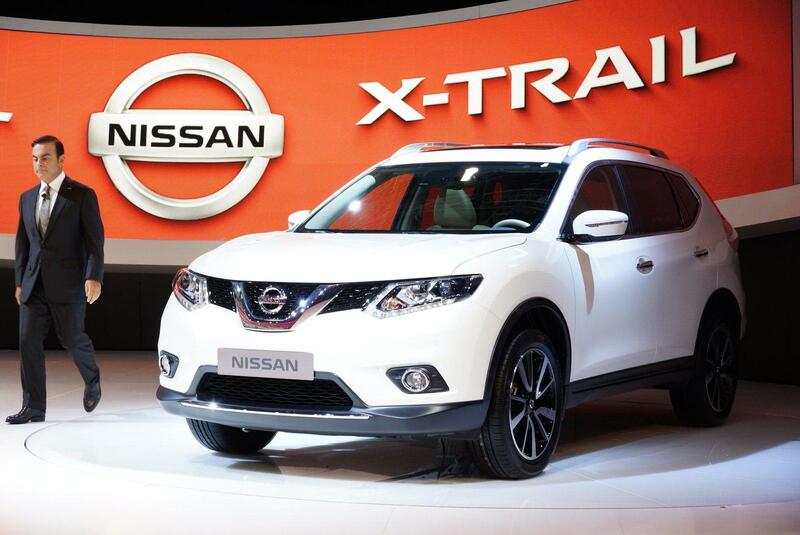 Επίσης το νέο X-Trail εφοδιάζεται με το σύστημα Active Ride Control το οποίο σαρώνει τον δρόμο και ρυθμίζει αυτόματα τη σκληρότητα της ανάρτησης έτσι ώστε το ταξίδι να γίνει πιο άνετο. Στον βασικό εξοπλισμό υπάρχει και το Active Engine Brake που φρενάρει τον κινητήρα είτε κατά τη διάρκεια μιας κατάβασης είτε κατά τη διάρκεια της στροφής. 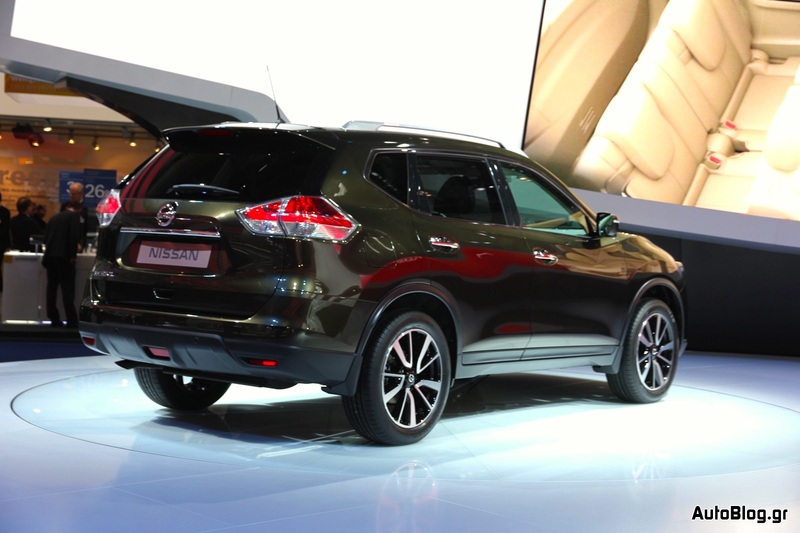 Τέλος το νέο X-Trail διαθέτει τα συστήματα Uphill Start Support, Advance Hill Descent Control και Active Trace Control, με το τελευταίο να ελέγχει τη γωνία του τιμονιού, την ταχύτητα, τη δύναμη πέδησης και τη θέση της πεταλούδας του γκαζιού, και έχει ως σκοπό να φρενάρει ανεξάρτητα και τους τέσσερις τροχούς, έτσι ώστε να μειώσει την υποστροφή. 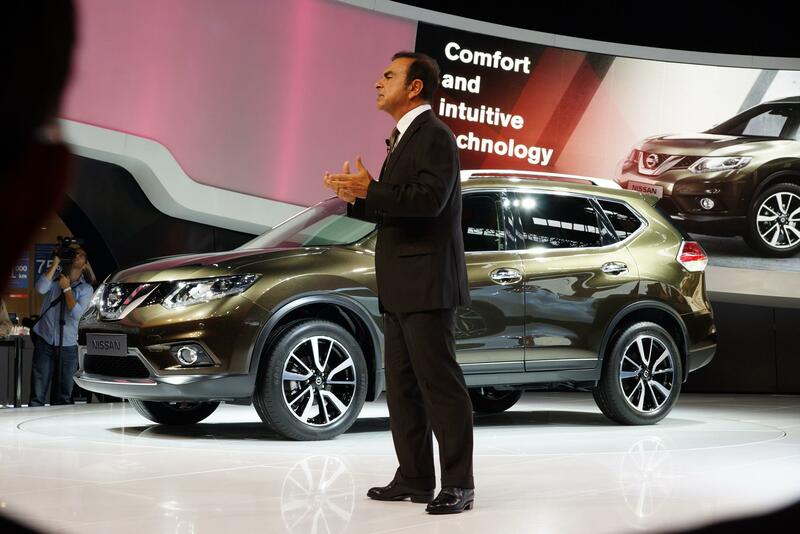 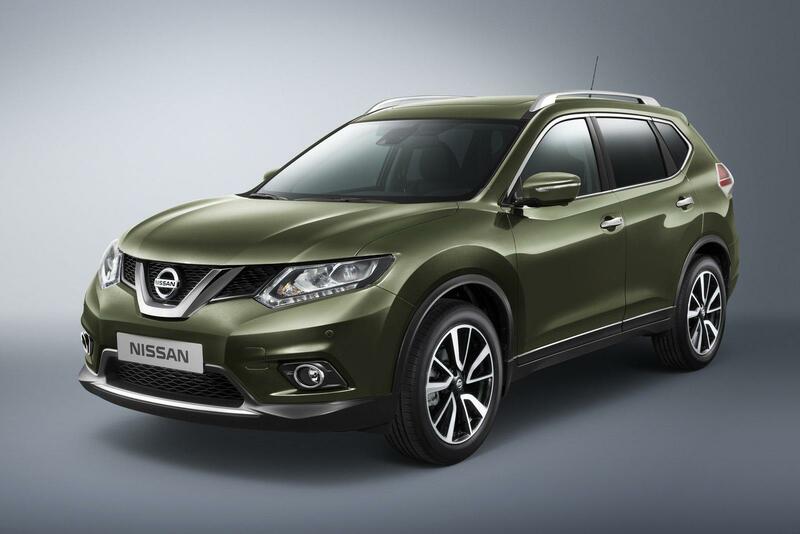 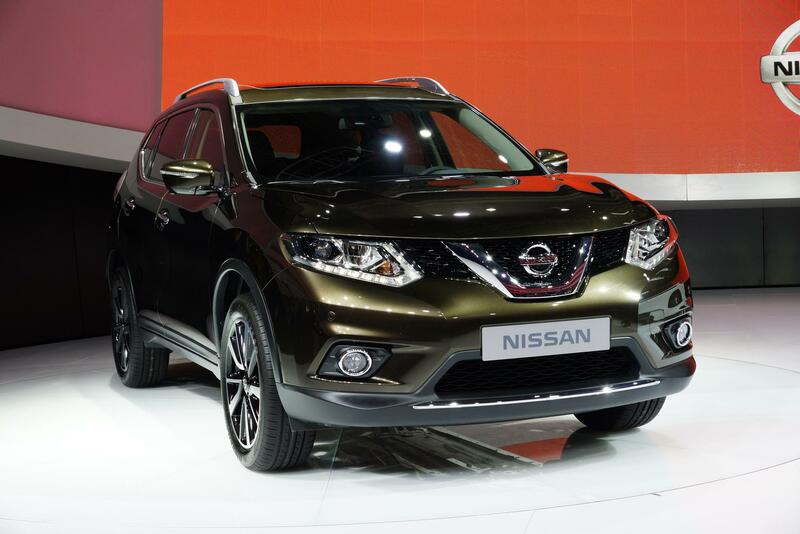 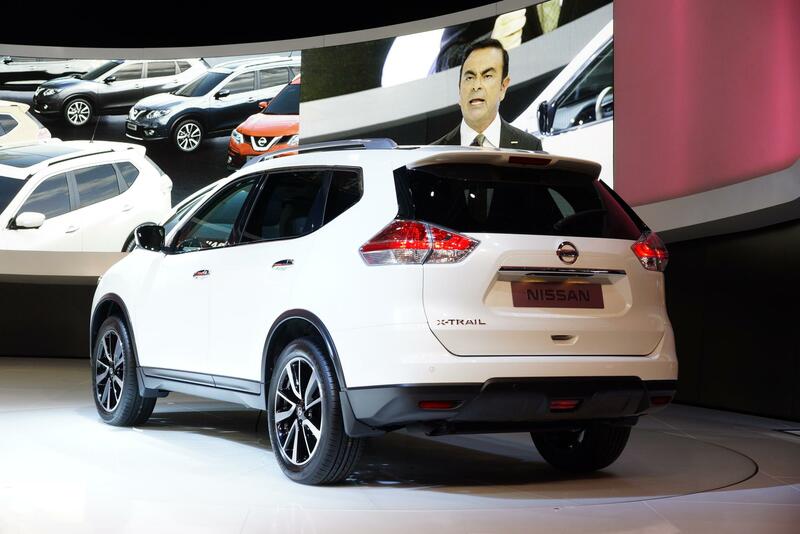 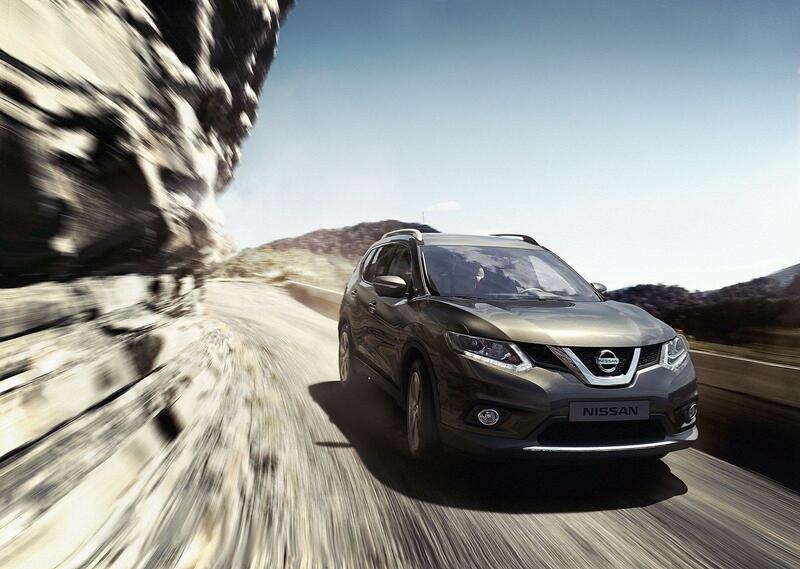 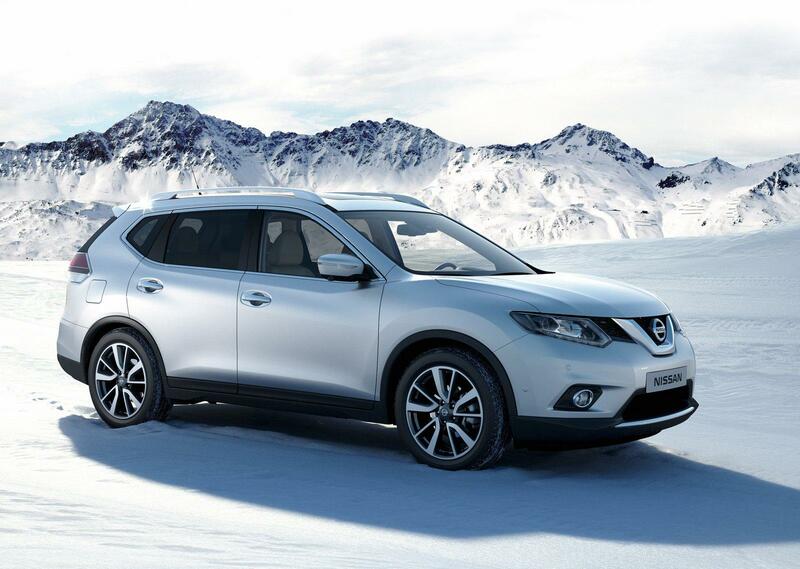 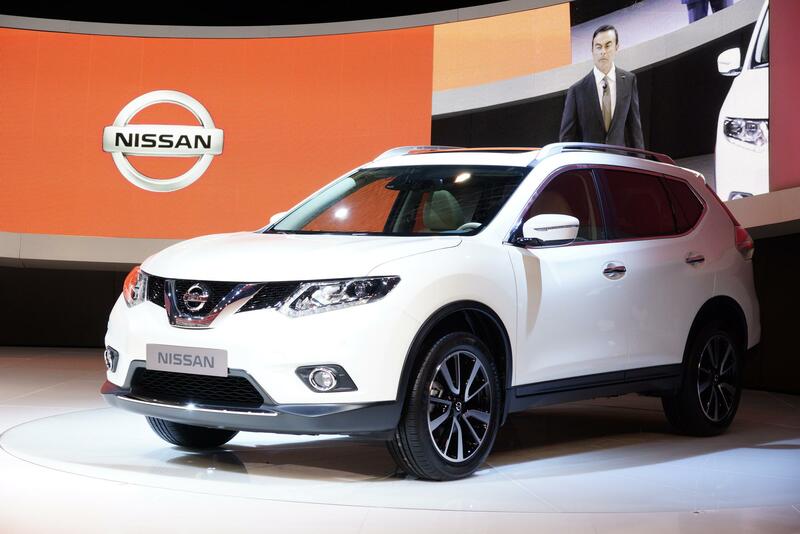 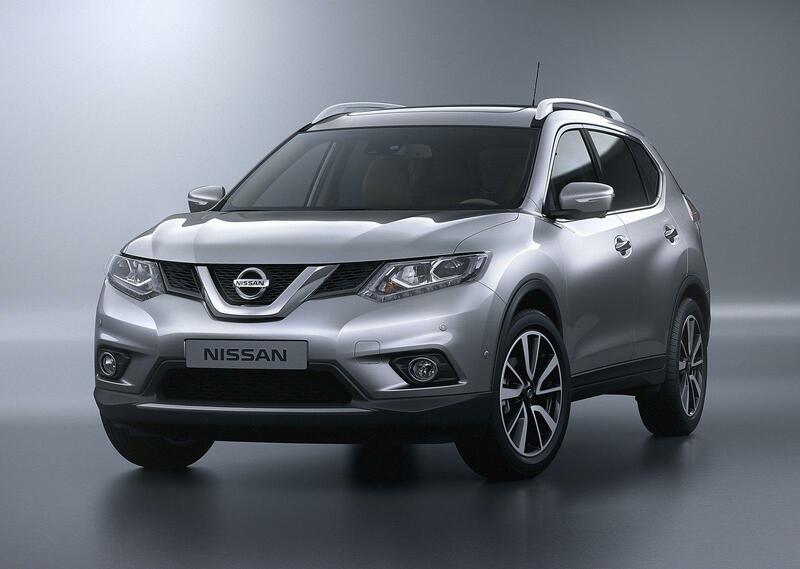 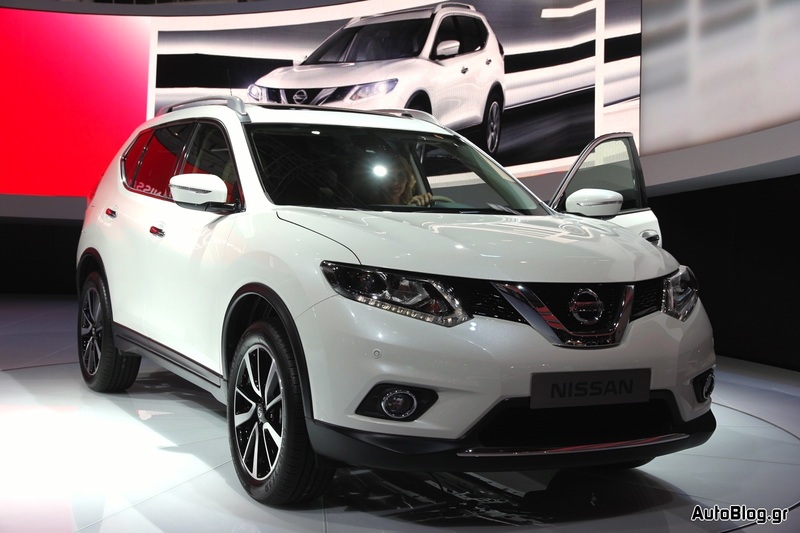 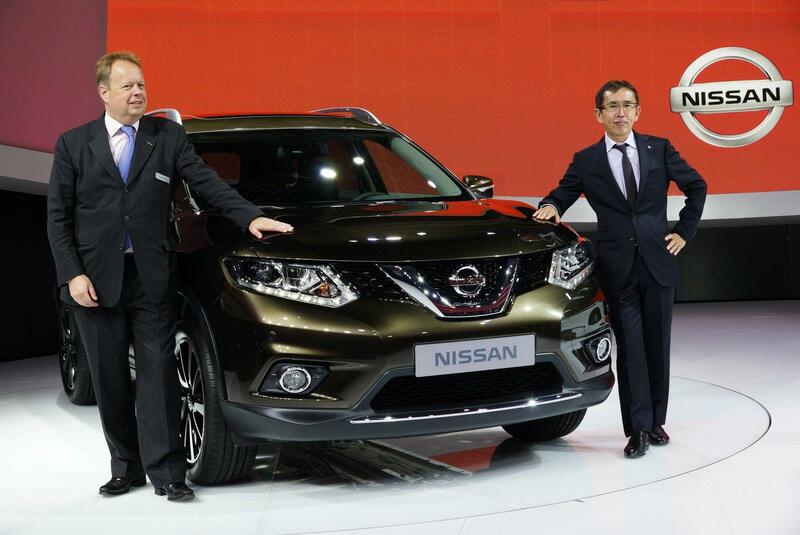 Muscular, modern and packed with technology, the new Nissan X-Trail has made its world debut at the 2013 Frankfurt Motor Show. 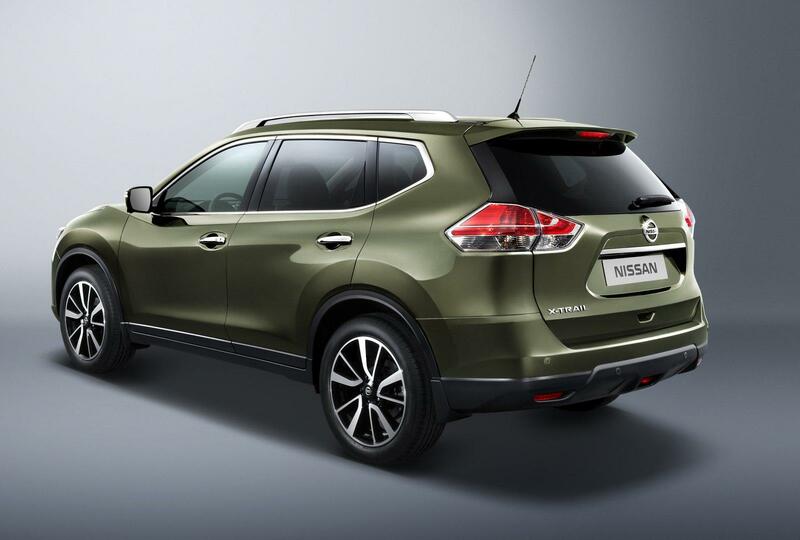 Building on Nissan’s respected 4×4 heritage but adding world-leading crossover know-how, the new X-Trail re-defines the compact SUV segment. 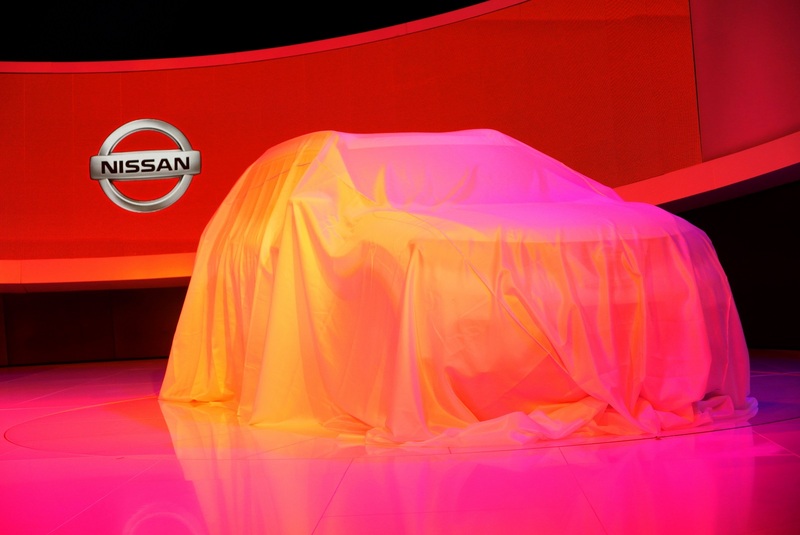 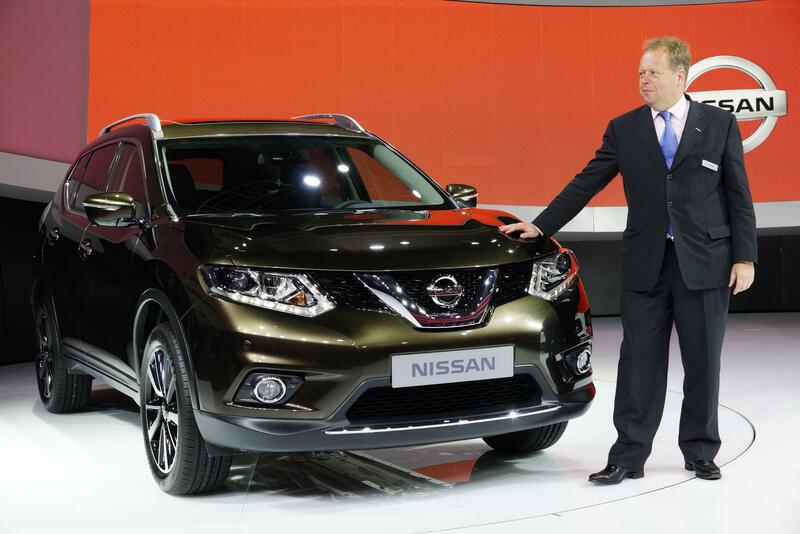 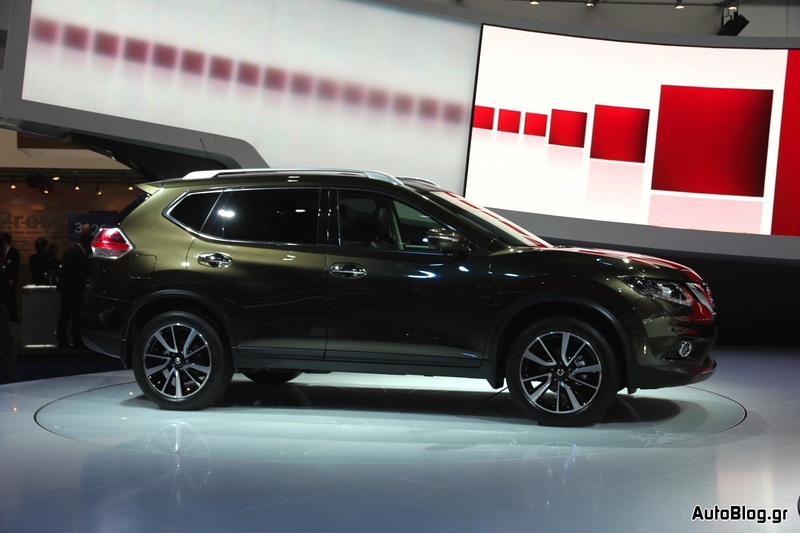 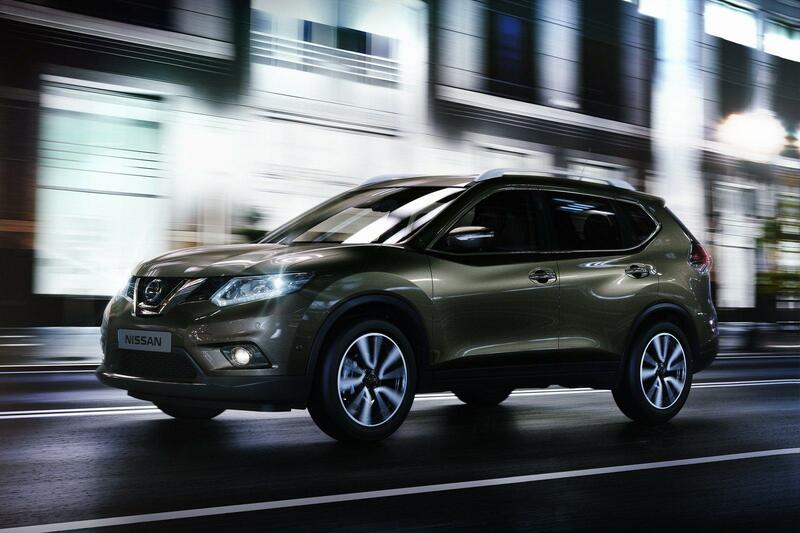 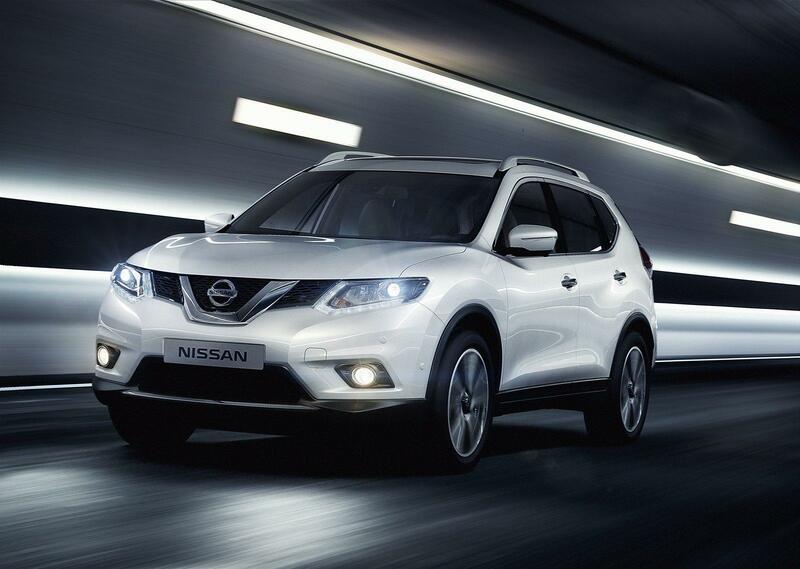 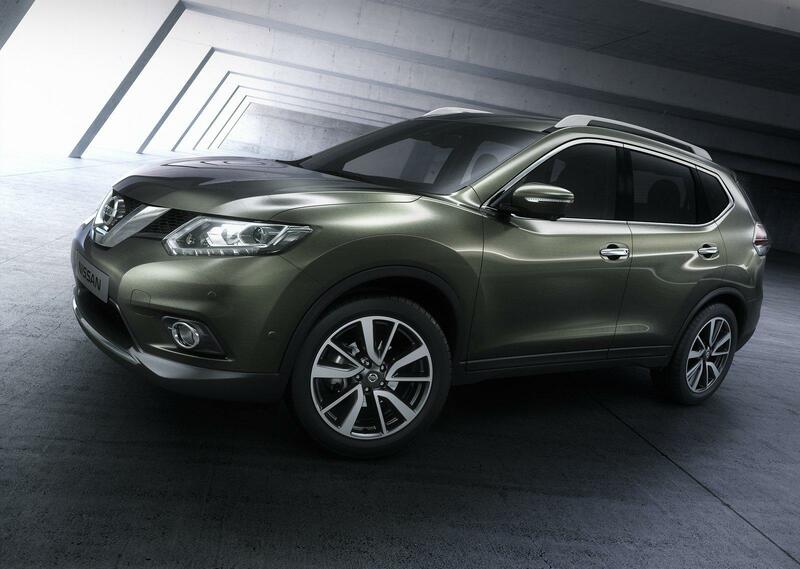 The US version, called the Nissan Rogue, made its world debut today. 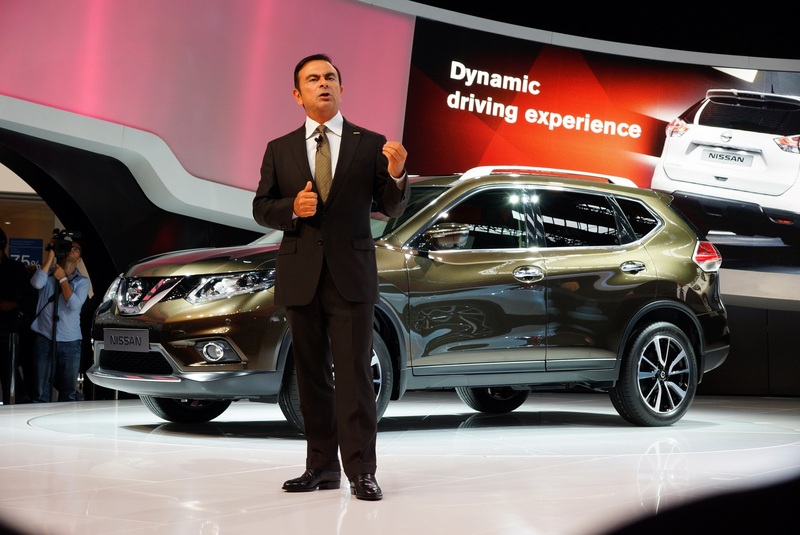 As a high-volume global growth product built on the new jointly-developed Nissan/Renault Common Module Family (CMF) platform architecture, it is projected to be available in 190 countries around the world. 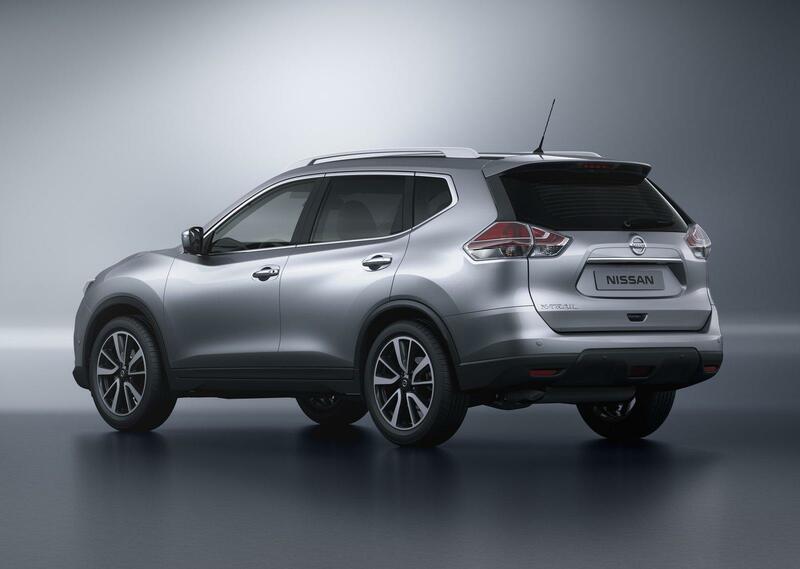 At the same time as enhancing its predecessor’s go-anywhere credibility, new X-Trail takes inspiration from Nissan’s market-leading crossovers – Qashqai, Juke and Murano – to create the ultimate, all weather, highly capable, modern family vehicle. 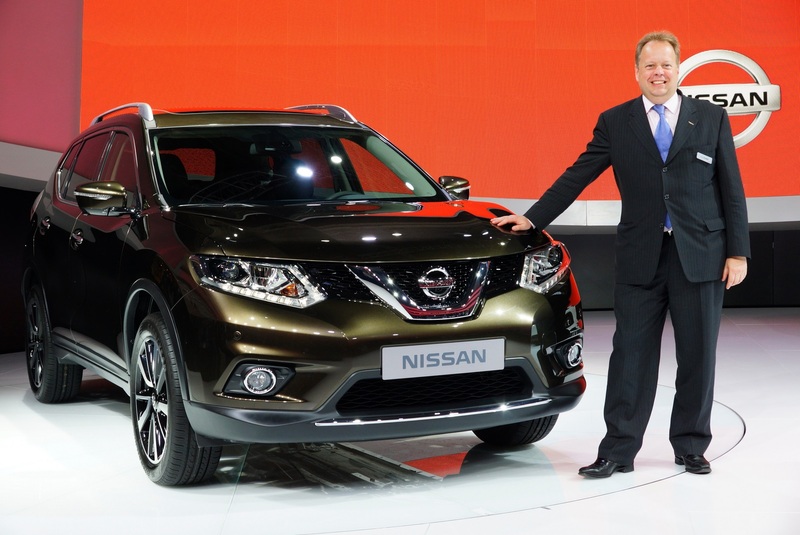 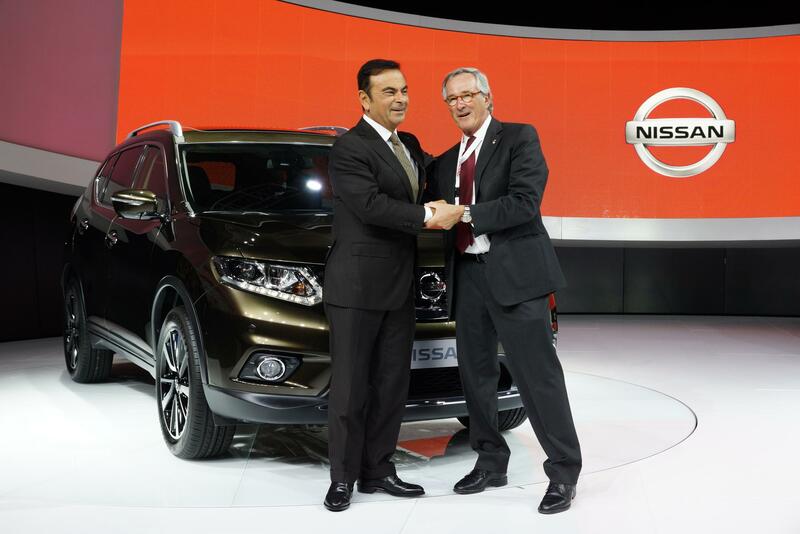 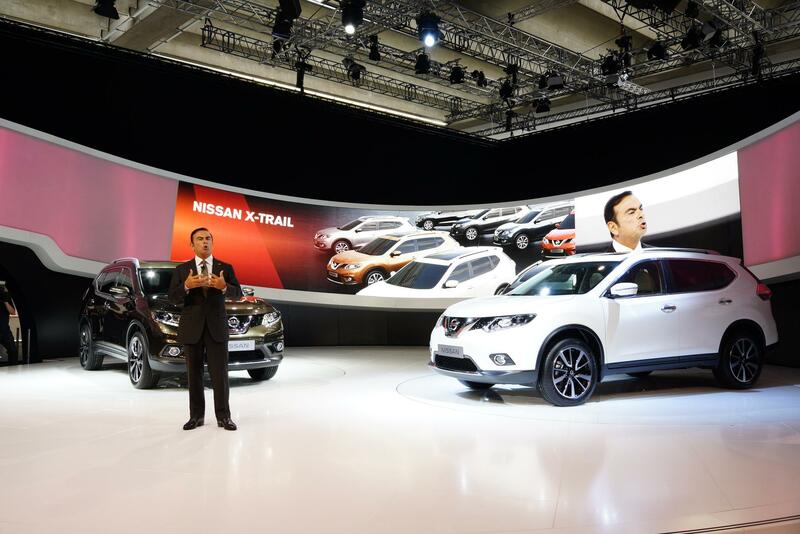 After its global reveal, sales of the new X-Trail in Europe will be starting from July 2014 and it is expected to make a significant contribution to Nissan Power 88, the company’s mid-term business plan covering fiscal years 2011-2016. 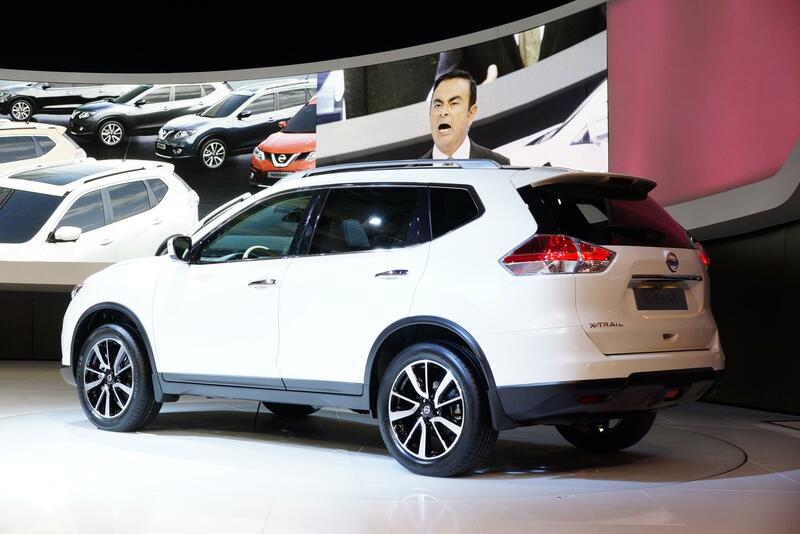 Design The design brief behind new X-Trail was to blend the sleek and stylish lines of a modern crossover with the robust appeal of a typical SUV. 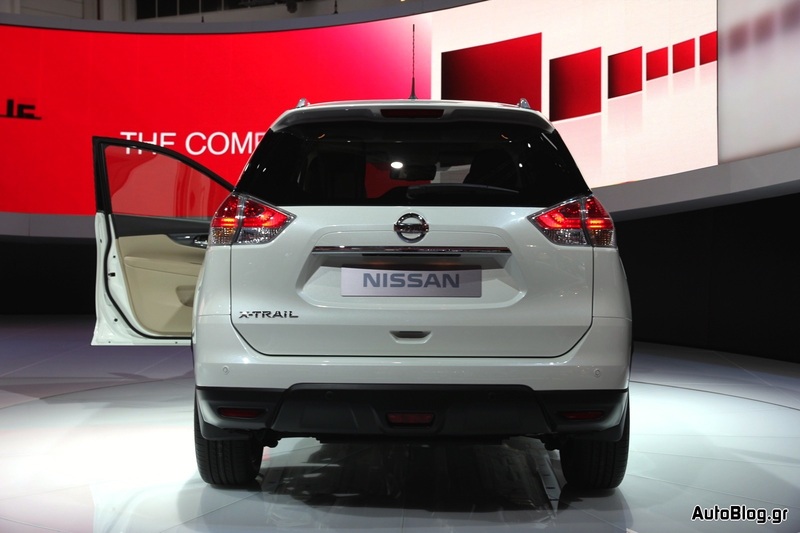 In place of the rugged, squared off lines of the previous generation, new X-Trail has a premium and dynamic appearance. 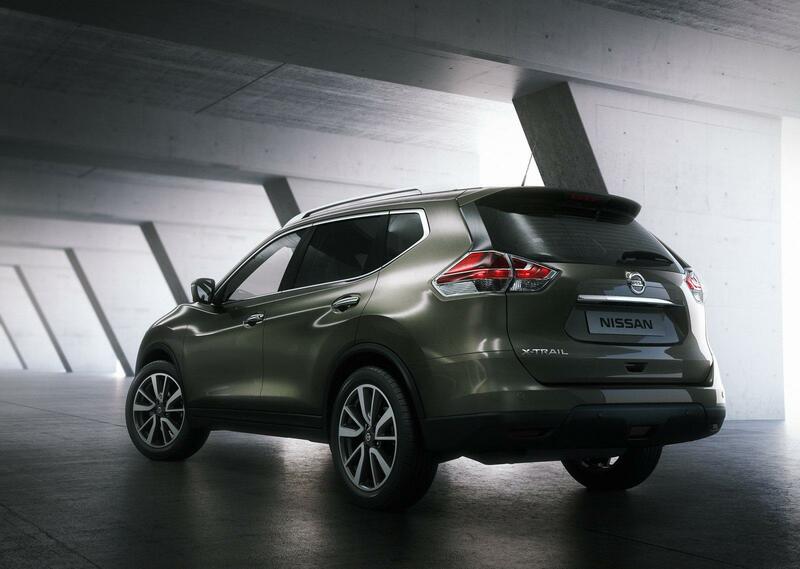 Sculptured muscular lines create a distinctive silhouette framed by elegant curves and high wheel arches and feature a number of Nissan signature cues such as the ‘boomerang’ rear lights, structured headlights with LED daytime running lamps and the characteristic D-pillar shape. 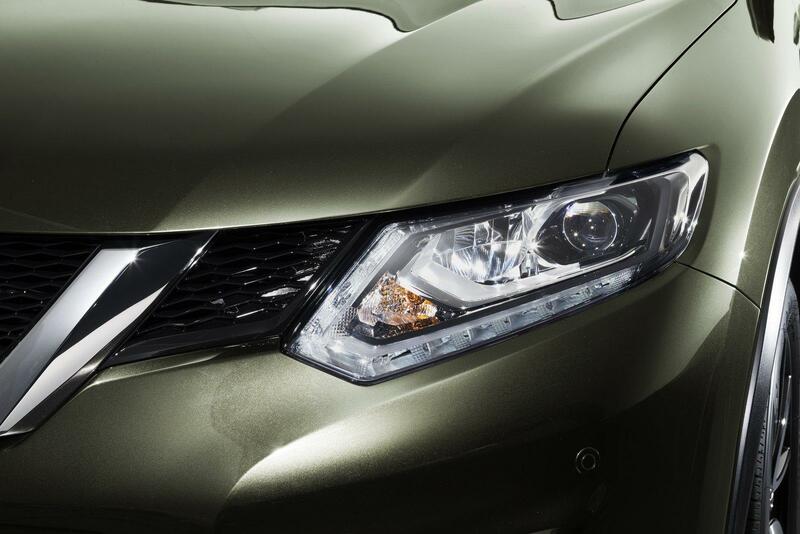 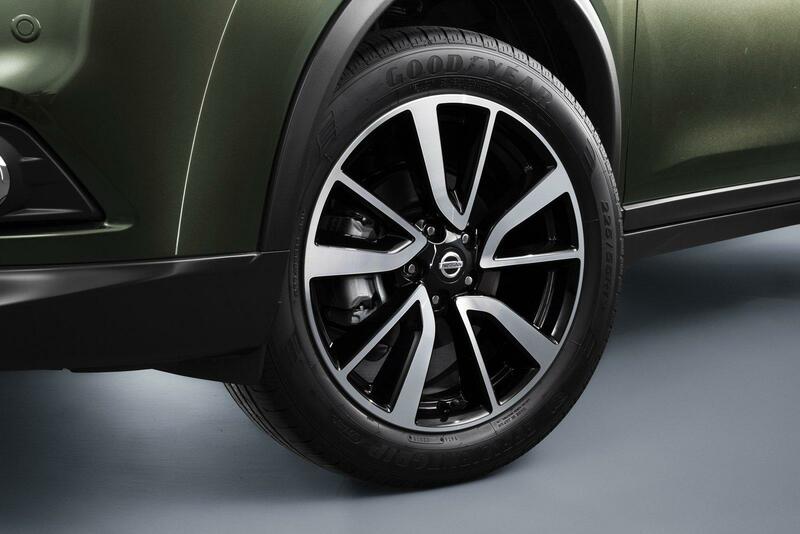 LED headlights – for both high and low beams – are standard on high grade models while 19-inch alloy wheels also give new X-Trail an imposing look. 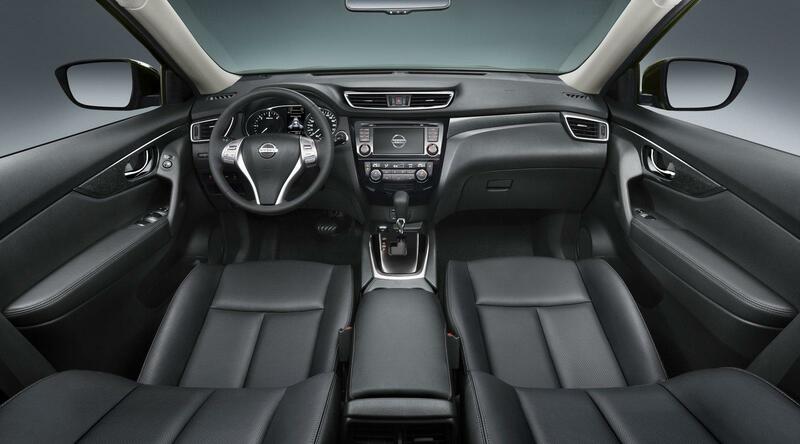 Inside, premium features include chrome, geometric metallic and piano black finishes. 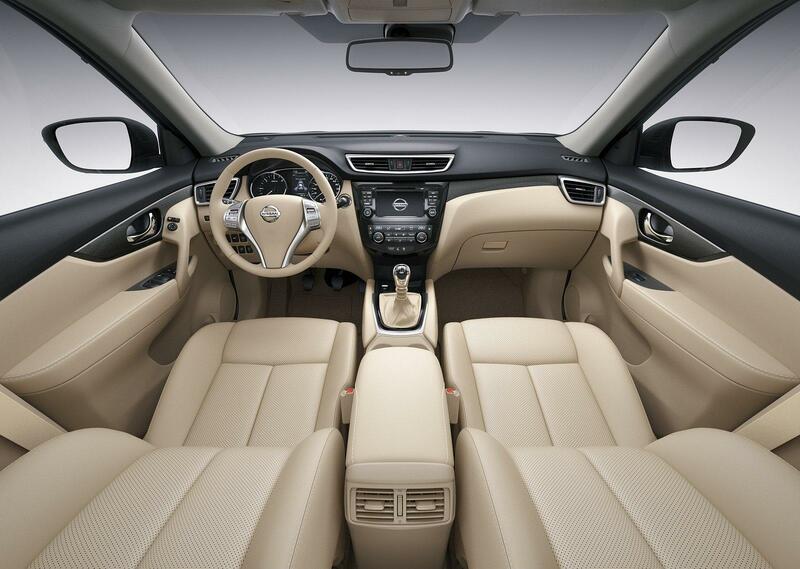 Options include a sophisticated cloth fabric covering plus a full leather offering with contrasting stitch accents. The spacious interior has theatre-style seating and the option of two extra seats to make room for seven inside. 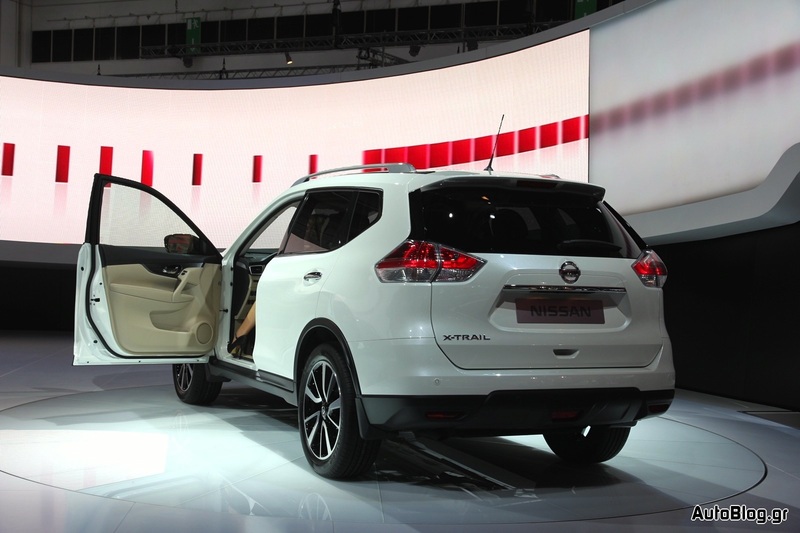 Practical touches include rear side doors that open to almost 80 degrees – far wider than normal – to allow not just easy access but also to ease the loading and unloading of a child’s safety seat. 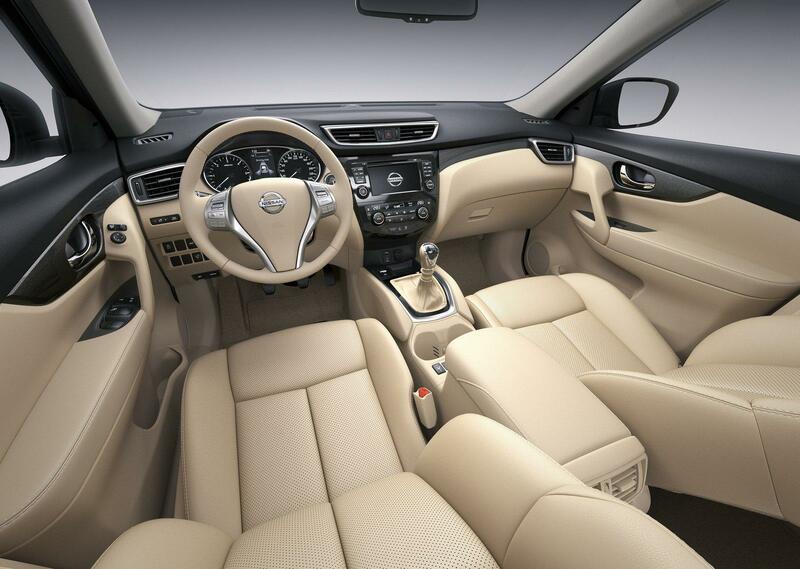 Middle row seat comfort has been improved thanks to extra knee room generated by the longer wheelbase and the new front seats having more heavily sculpted seat backs. 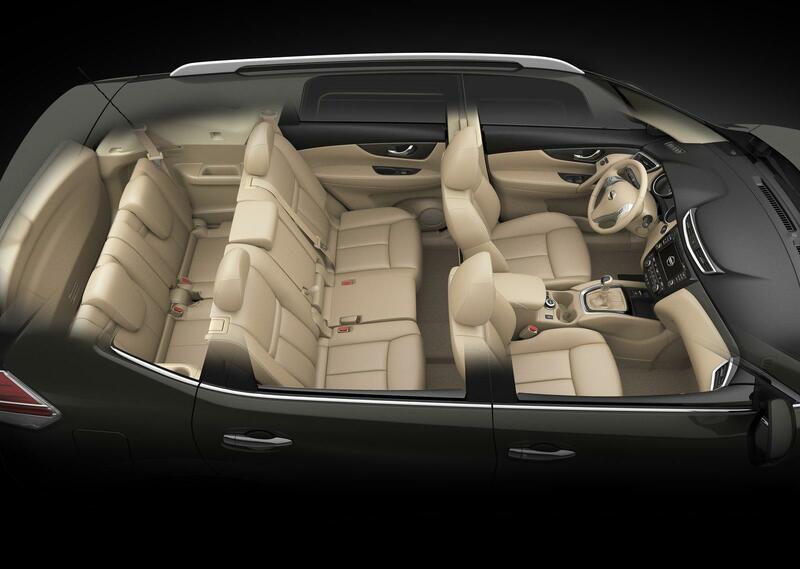 The middle row seats recline and slide while, where fitted, the third row folds forward to increase luggage space. 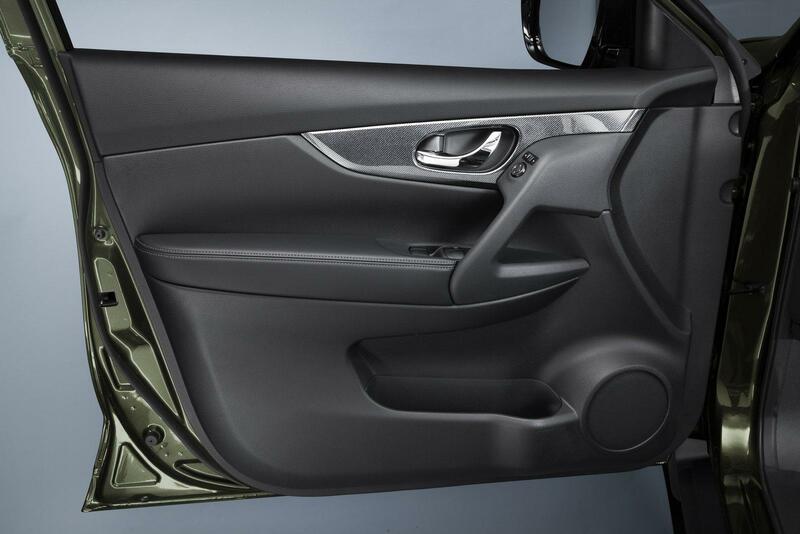 Helpful touches include, for example, a large between-the-seats console box. 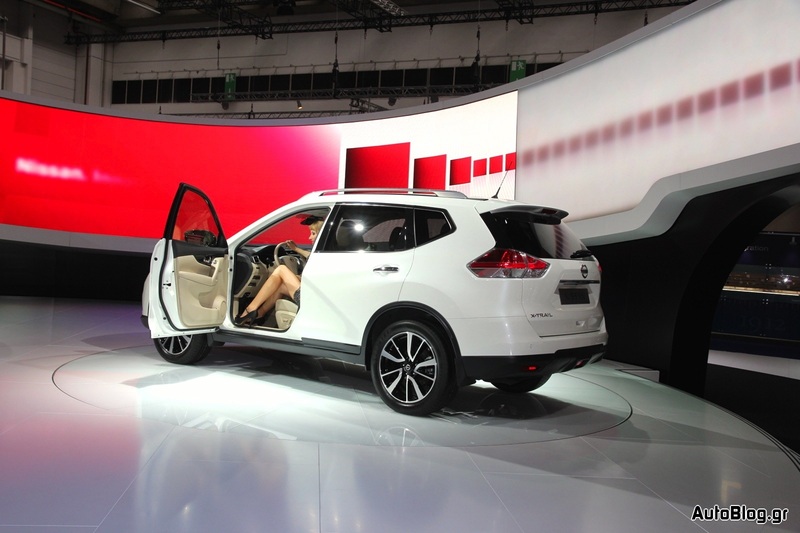 The box itself is large enough to take an iPad or 10-inch tablet. 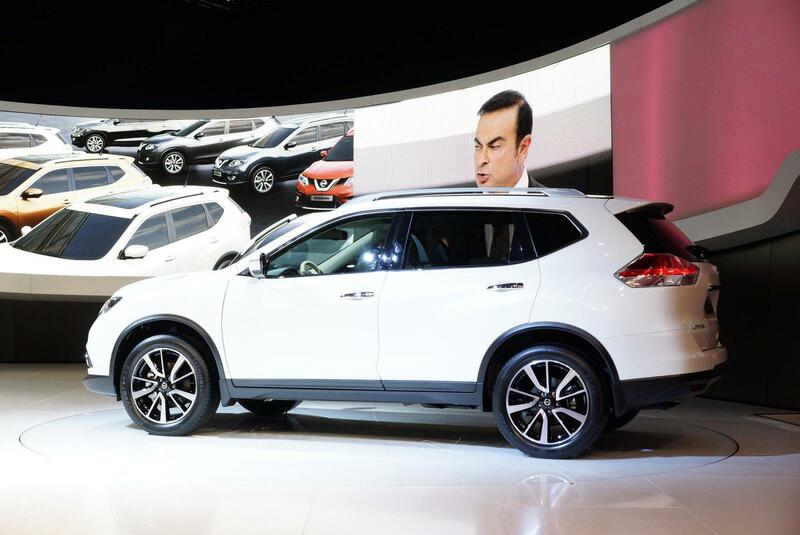 The versatility pioneered in the previous model goes further in new X-Trail thanks to a smart and innovative double load floor providing flexible storage options. The cargo area can be portioned into upper and lower areas in a simple single-handed move. 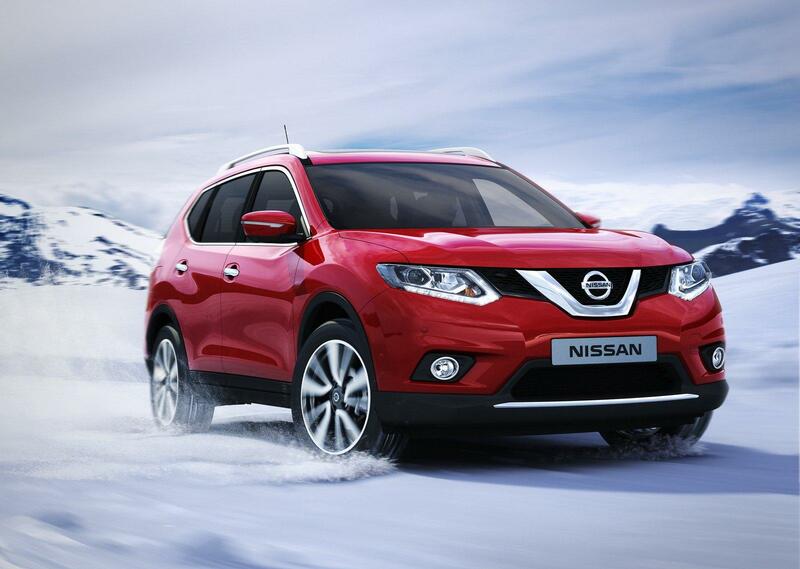 In its top most position, the board can hold up to 10 kilograms of luggage, or 75 kilograms in its lower position. 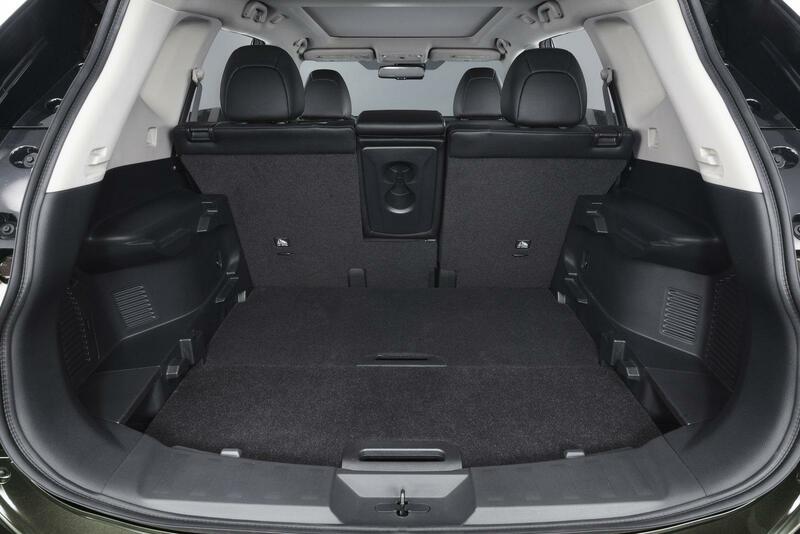 This split cargo solution enables the user to store, for example, a stroller and large items below while creating a fully usable upper load surface for smaller, lighter items. 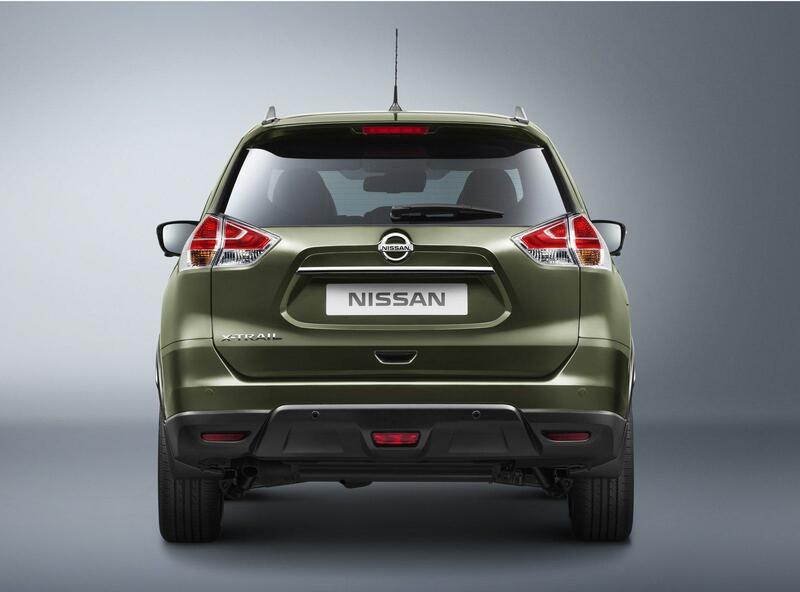 In addition, access to the luggage area has also been made as easy as possible with remote operation of the power tailgate. 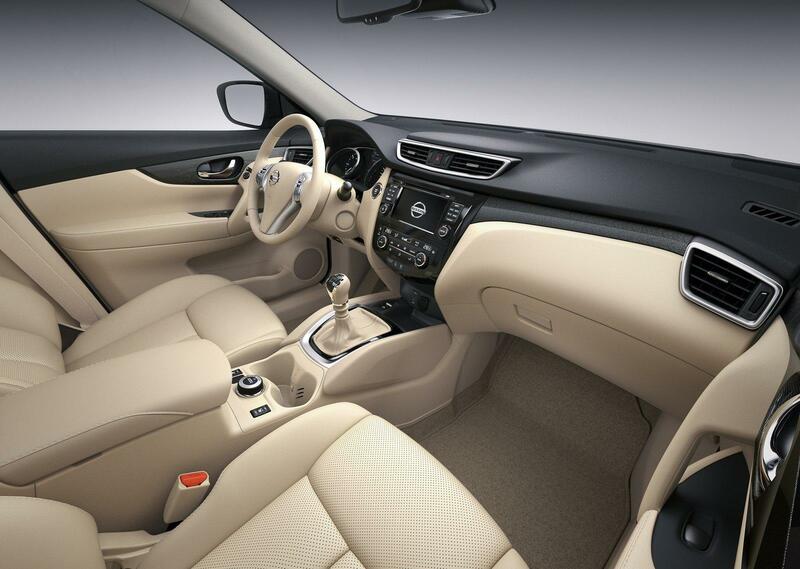 The result is a dynamic mix of progressive exterior styling with a spacious, functional and high quality interior. 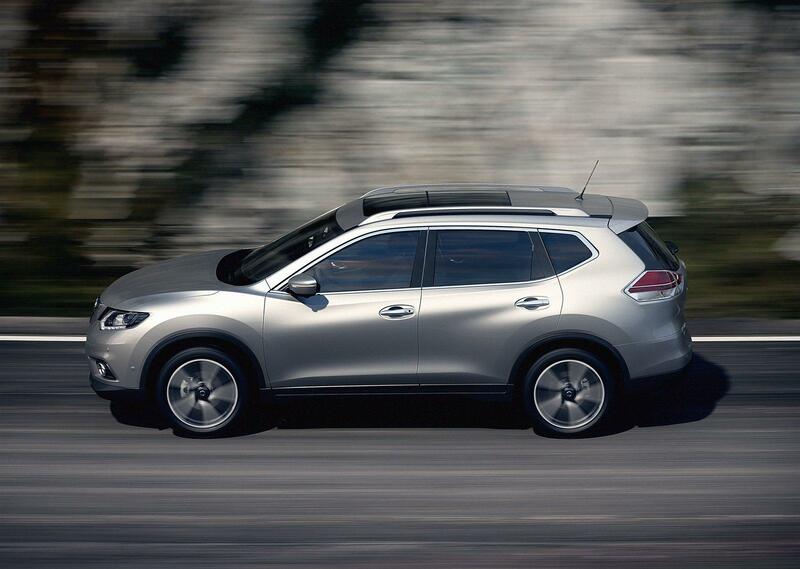 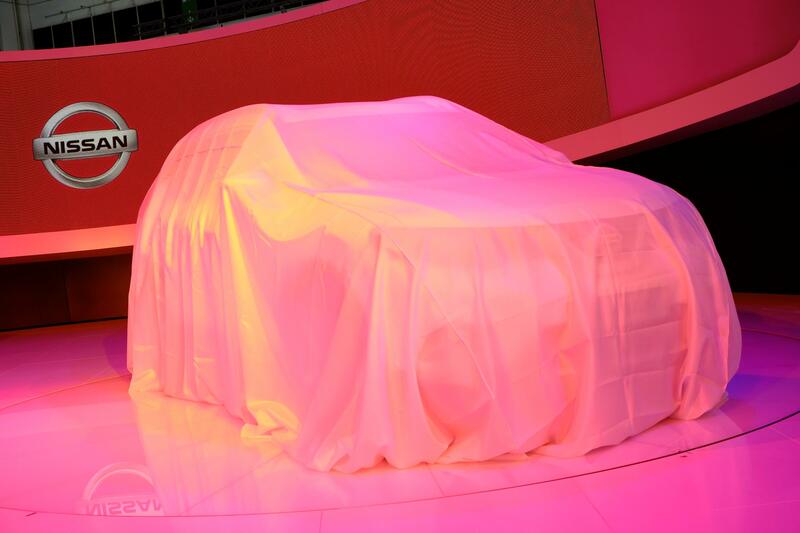 Technology New X-Trail will be one of the most advanced cars on the road when sales start next year. 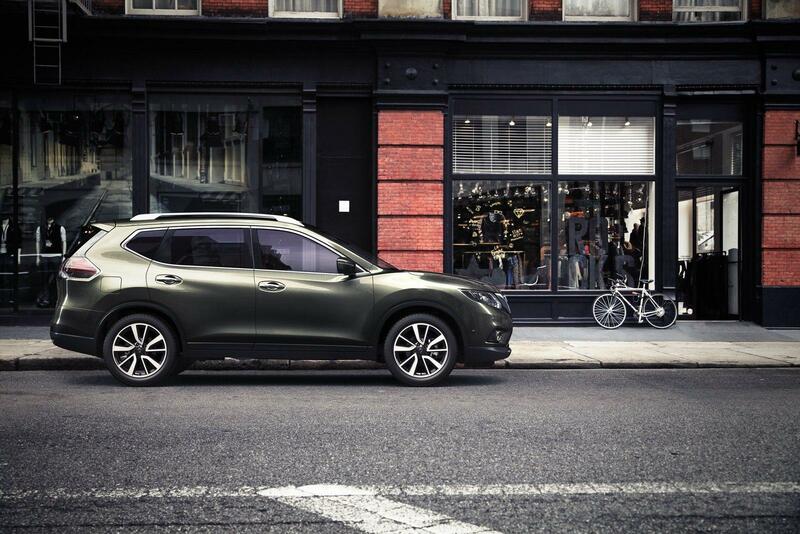 Fully connected, X-Trail is the first model to benefit from the latest generation NissanConnect in-car navigation, information and entertainment system. 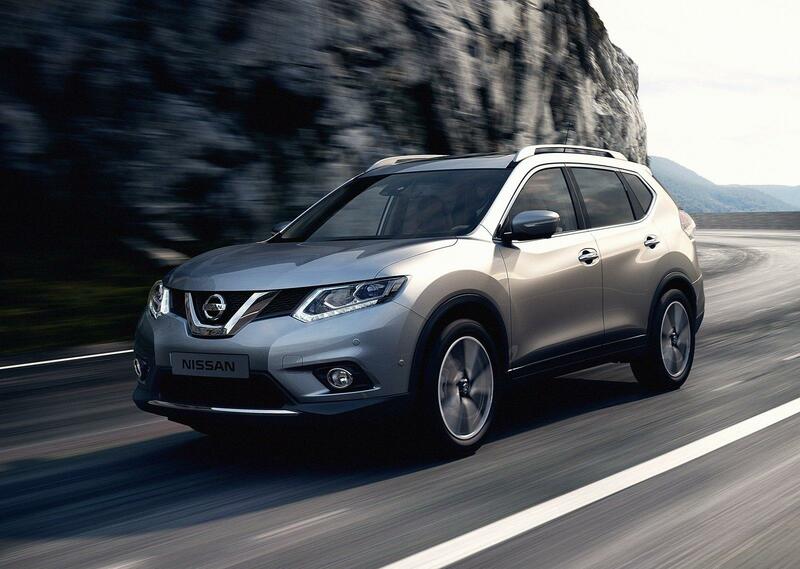 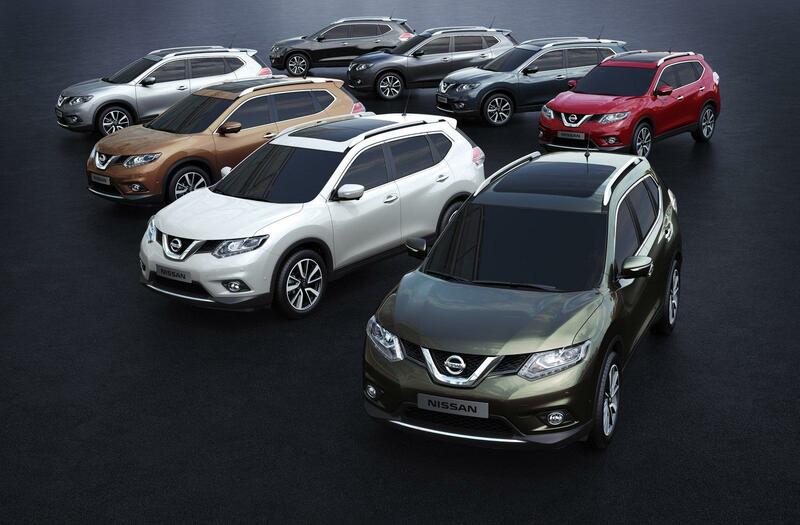 Drivers will also benefit from a comprehensive suite of assistance features that make up the X-Trail’s Nissan Safety Shield system. 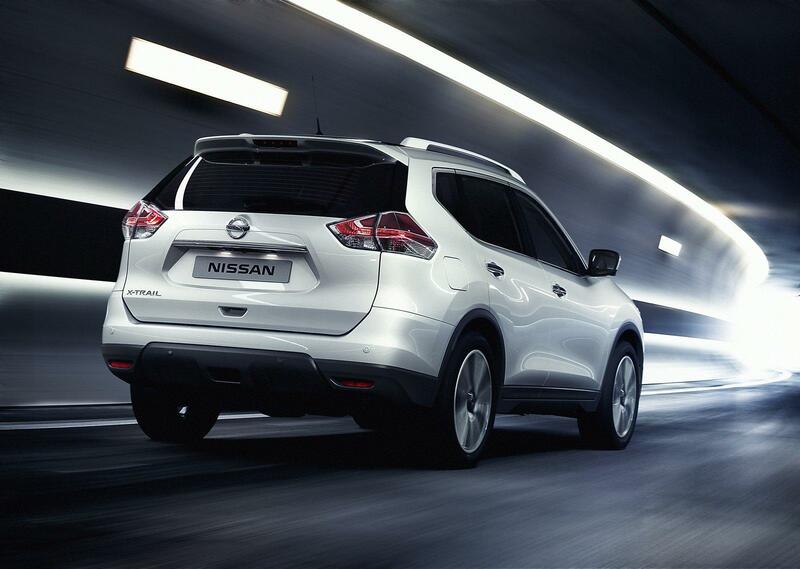 As has become expected practice from Nissan, all the features have practical benefits to make life easier for the driver and occupants. 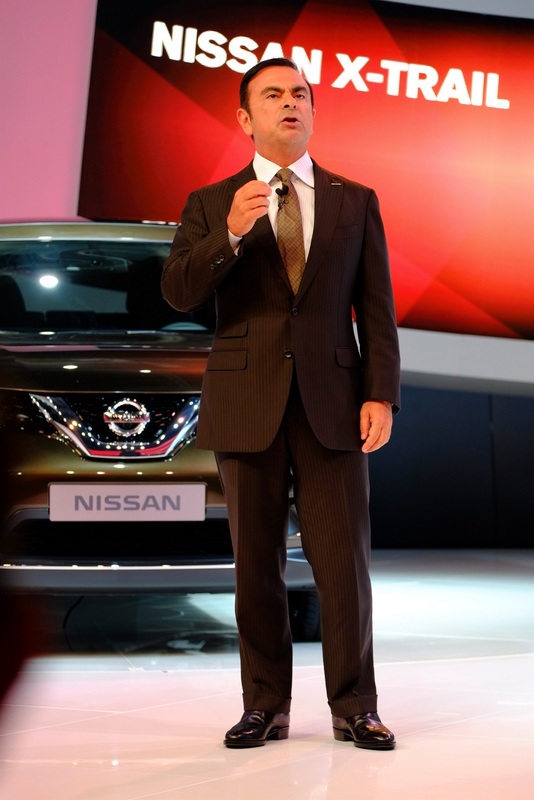 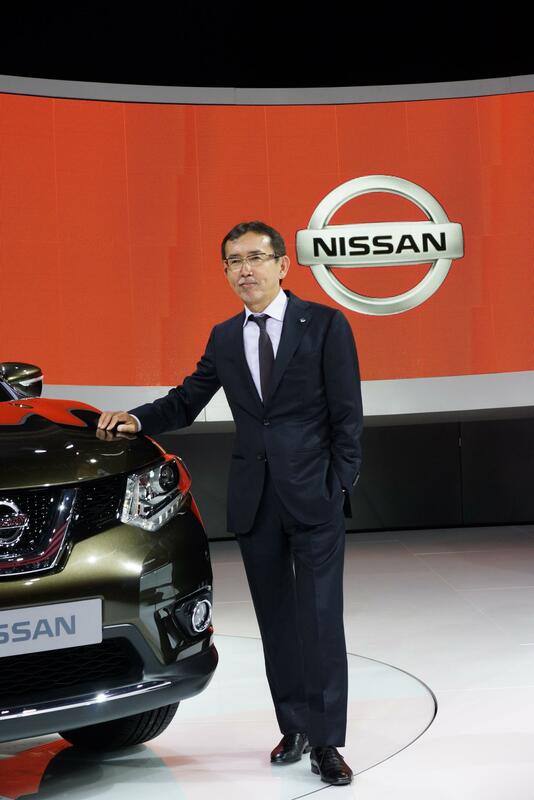 New NissanConnect is one of the foremost examples of Nissan’s engineering innovation. 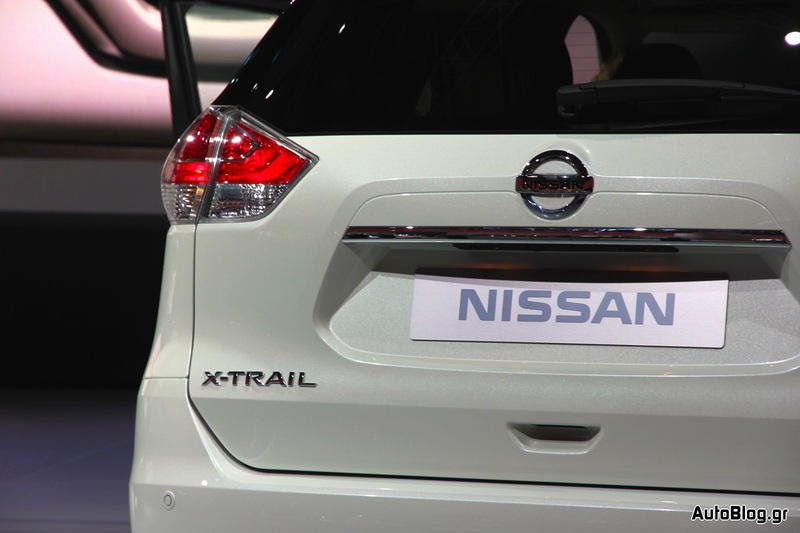 In its latest form, NissanConnect has evolved to offer Smartphone connectivity, to keep owners connected to the outside world wherever their journey takes them. 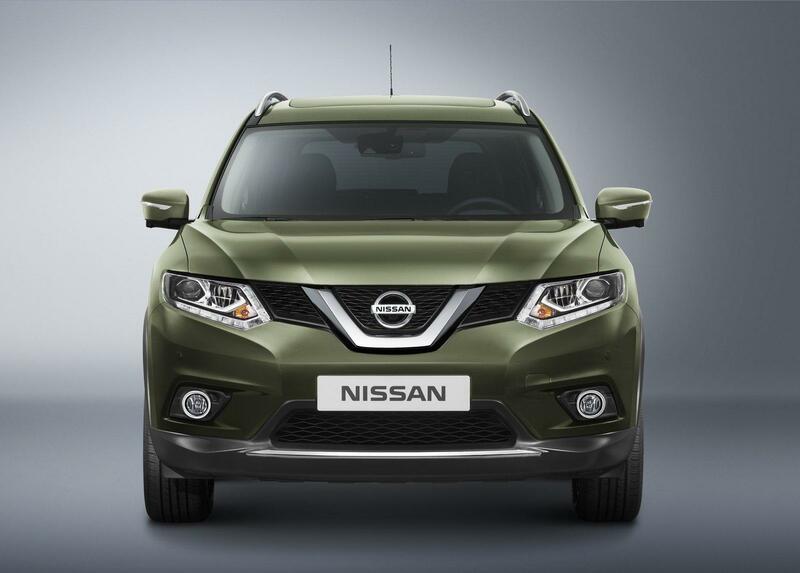 With access to a projected range of apps covering music, social networking, entertainment and travel through a large, 7-inch colour touch screen, the new NissanConnect is a the perfect fit for new X-Trail. 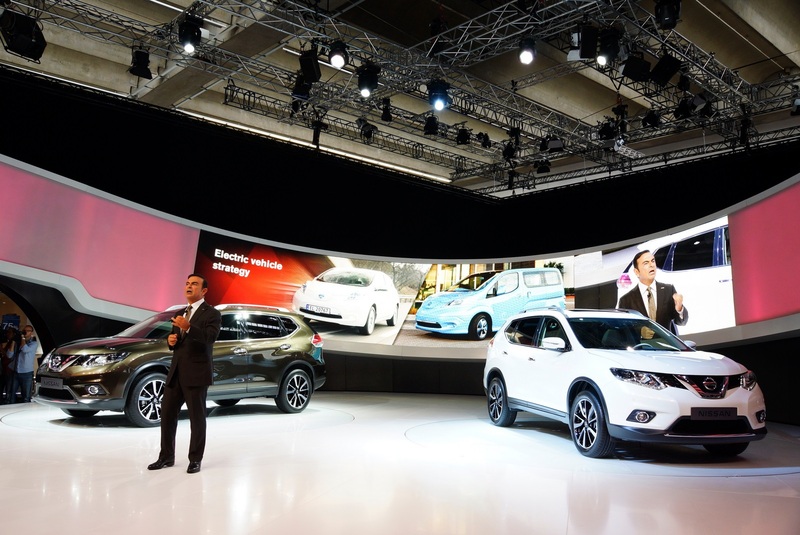 The latest generation satellite navigation integrates with Google® to reveal a host of useful information from weather forecasts to the location of fuel stations, hotels, restaurants and many other points of interest. 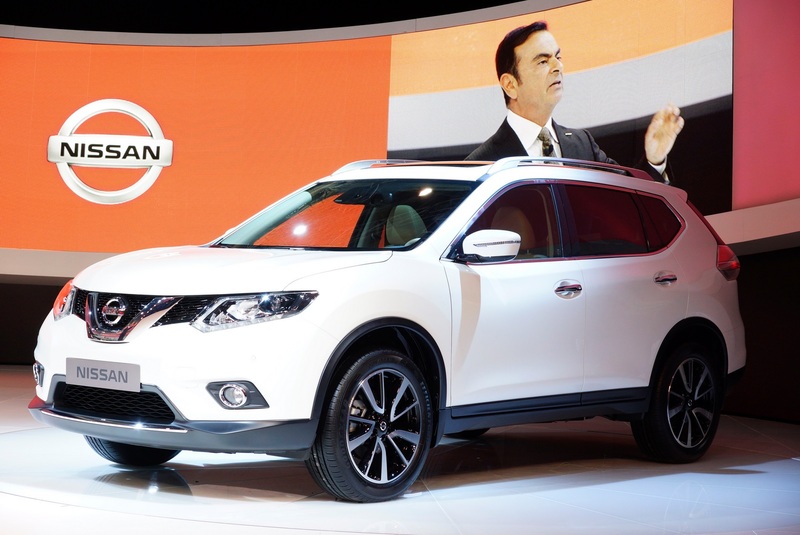 The ever-popular send-to-car function also allows drivers plan a trip at home and send it to their in-car NissanConnect system at the click of a button. 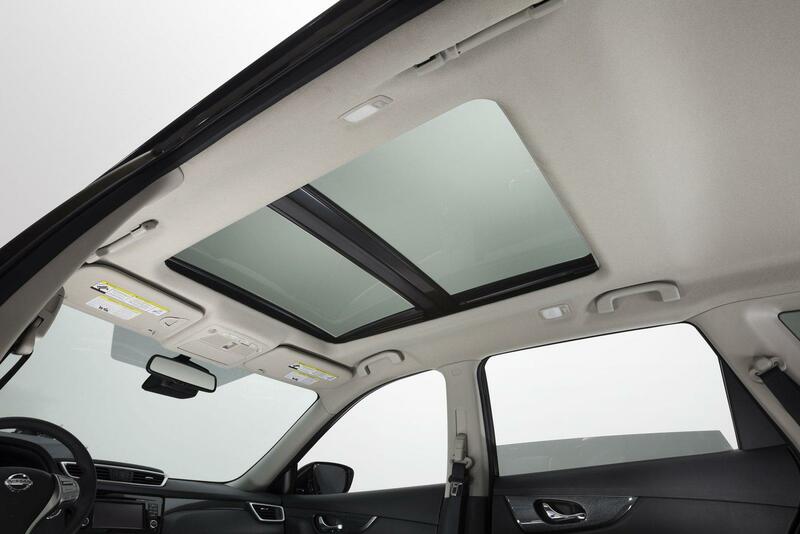 The system includes Bluetooth audio streaming and mobile phone integration as well as Aux-in and USB slots. 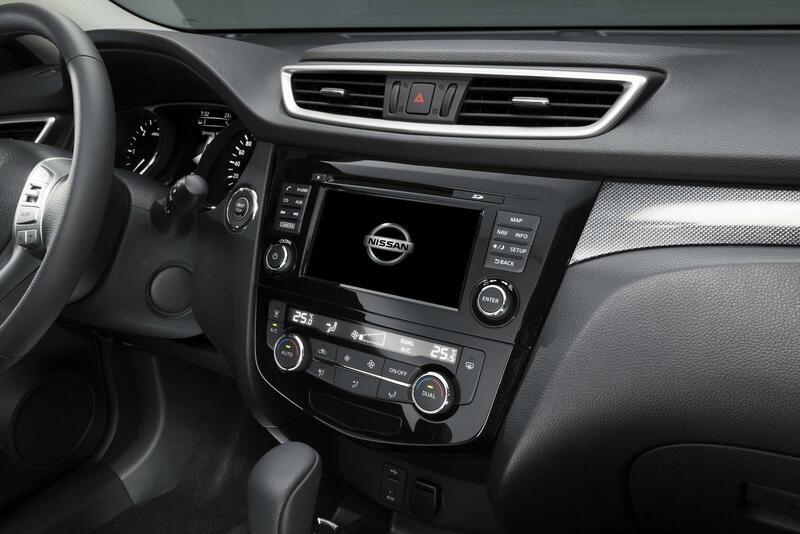 In addition to mobile phone integration, the system also includes Bluetooth audio streaming The driver also benefits from one of the most advanced meter displays yet seen with 5 inch TFT colour display incorporating no fewer than 12 graphic displays accessible on rotation offering advice and warnings covering such things as average and actual speeds, navigation turn-by-turn instructions, audio content, traffic sign recognition, eco driving advice and torque distribution settings in 4WD mode. 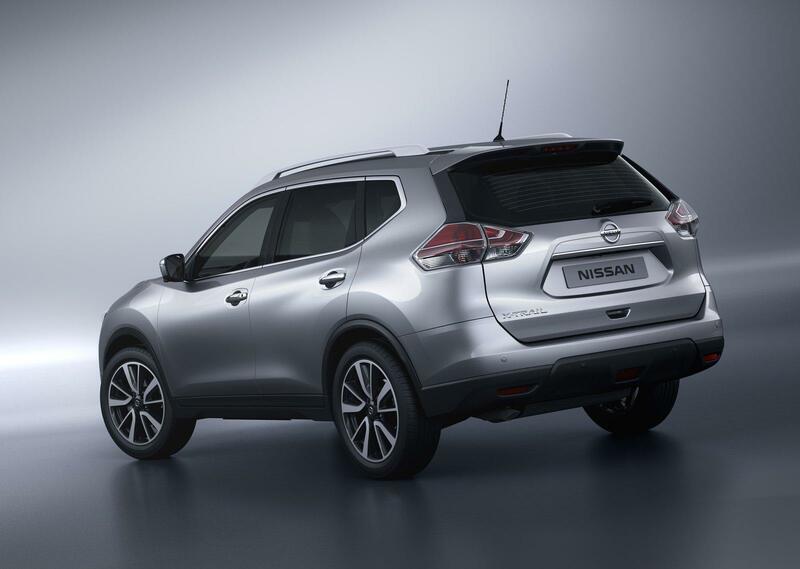 Chassis In keeping with the class leading standards set by the previous generation model, new X-Trail adopts Nissan’s advanced electronic four-wheel drive system, ALL MODE 4x4i. 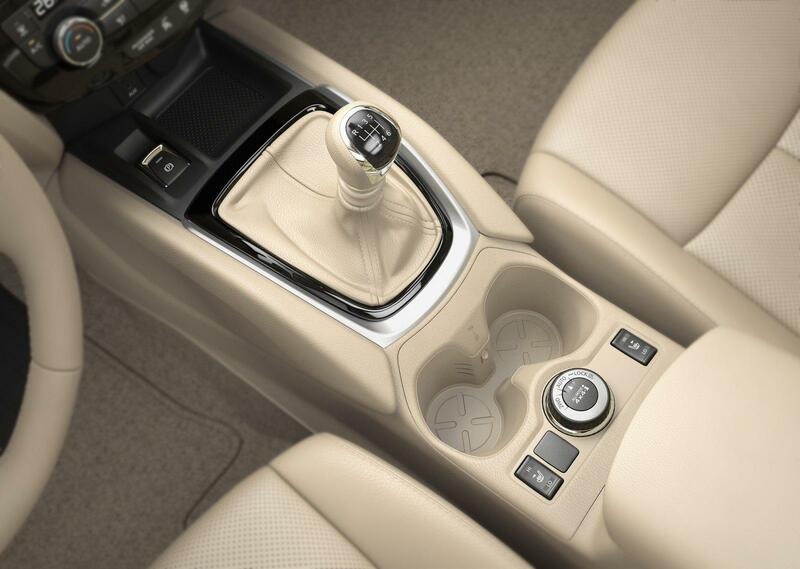 Controlled via a rotary switch on the centre console, it offers a choice between two-wheel drive, Auto mode or Lock offering permanent four-wheel drive. 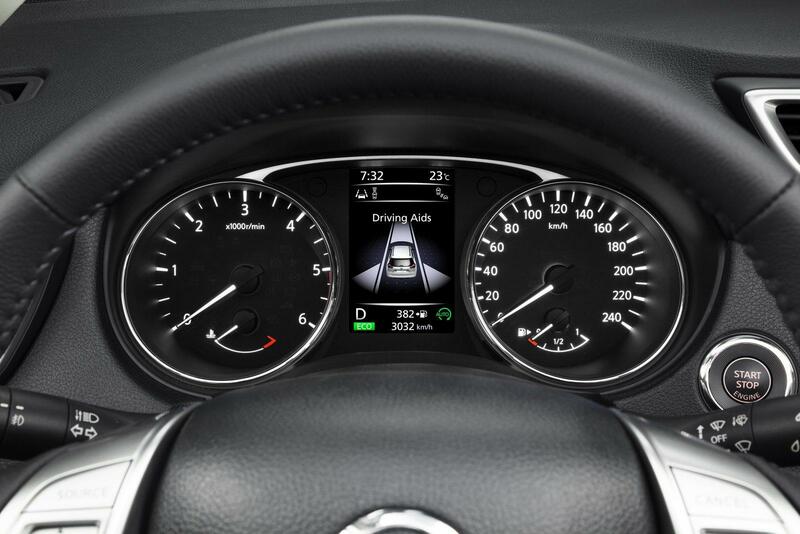 In the ‘default’ Auto mode, the system constantly monitors throttle opening, engine speed and torque to anticipate wheel spin and to distribute torque between front and rear axles as needed, at speeds of up to 80 km/h. 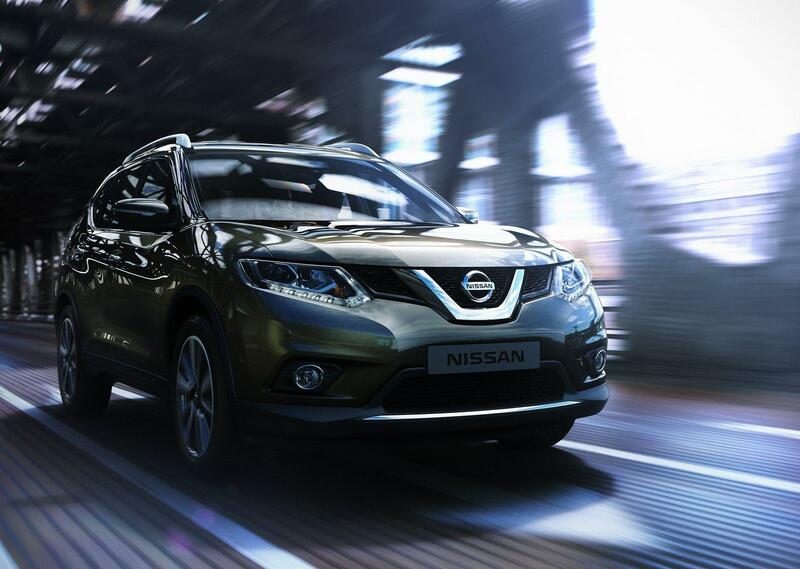 Above that speed, the system reacts to wheelspin, again shifting drive rearwards to restore traction as required. 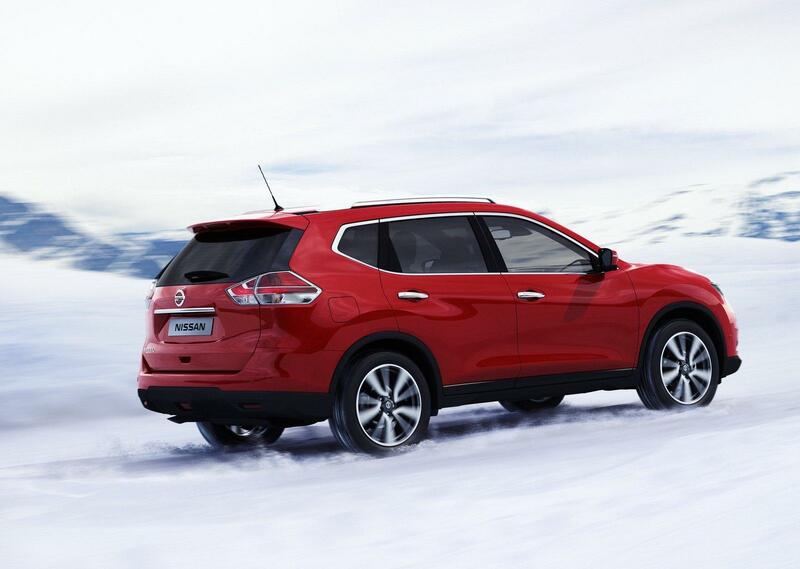 For tricky conditions and at low speeds, Lock gives new X-Trail permanent four-wheel drive, while drivers also have the option of a two-wheel drive only version. 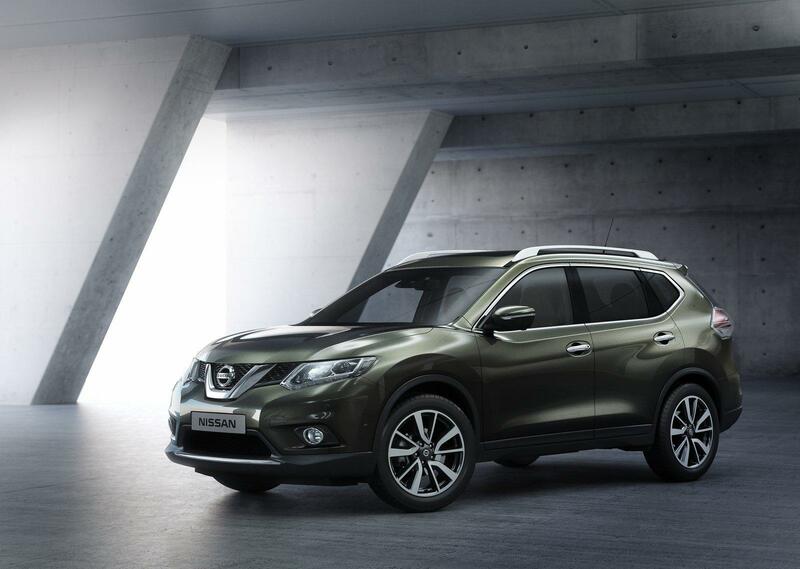 Ready to exceed the expectations of compact SUV drivers, four electronic systems have been designed to make life with X-Trail more comfortable and even safer: two are world firsts and a third is currently found on the premium Infiniti M.
The two world firsts are Active Ride Control and Active Engine Brake. 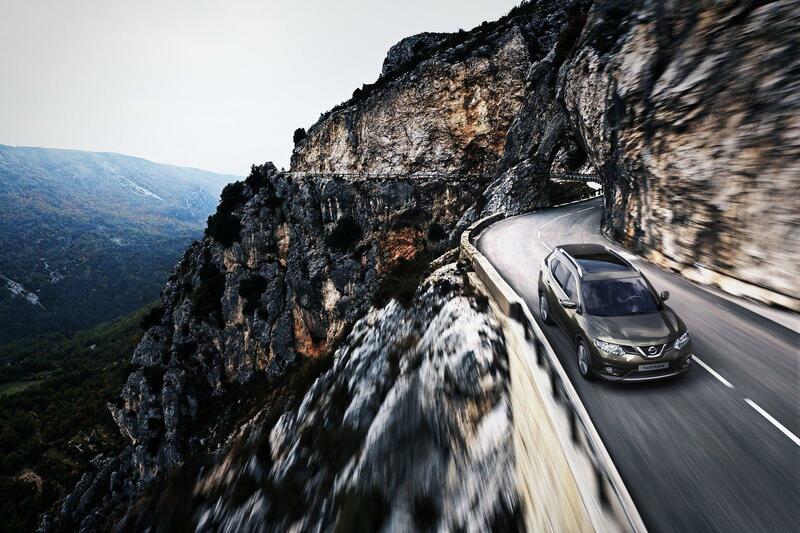 Active Ride Control monitors the road surface to detect undulations which could potentially upset the pitch of the car body and alters the damping to compensate. 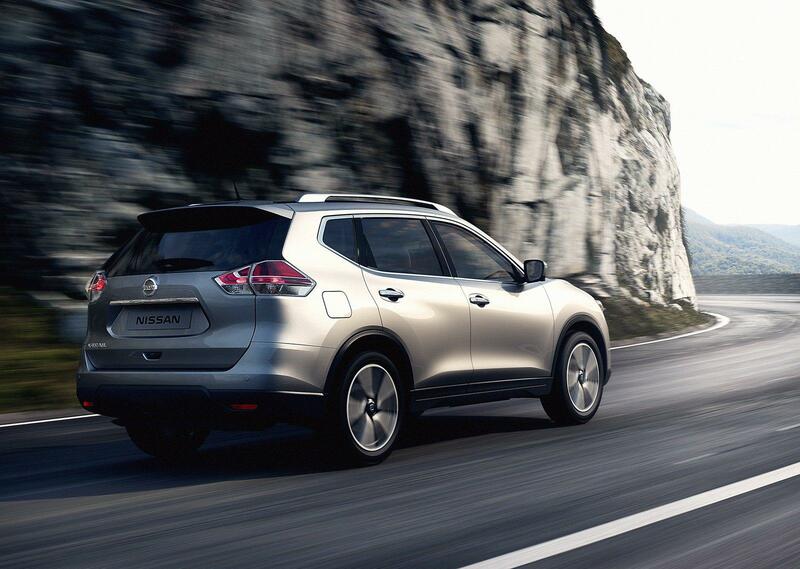 Active Engine Brake, meanwhile, harnesses the power and controlability of the Xtronic transmission to add a degree of engine braking while cornering or when decerating to a standstill. 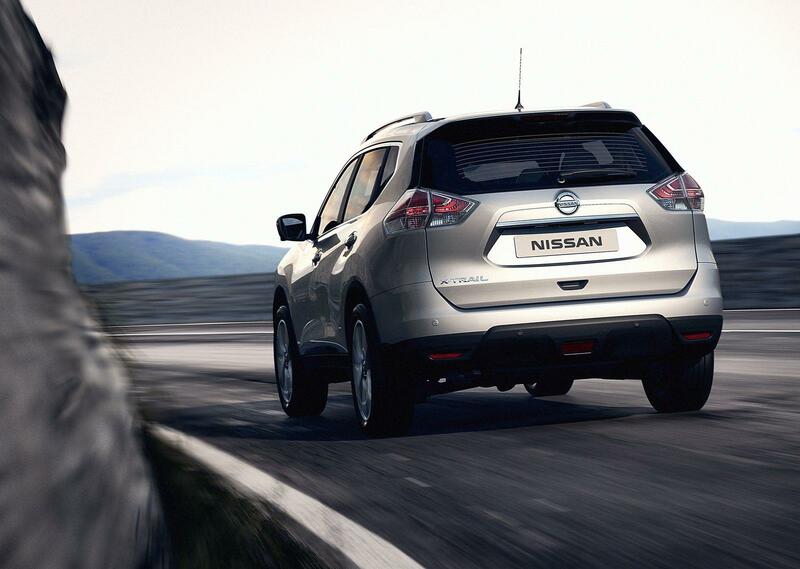 The benefits are greater braking control and enhanced feel with less pedal effort. 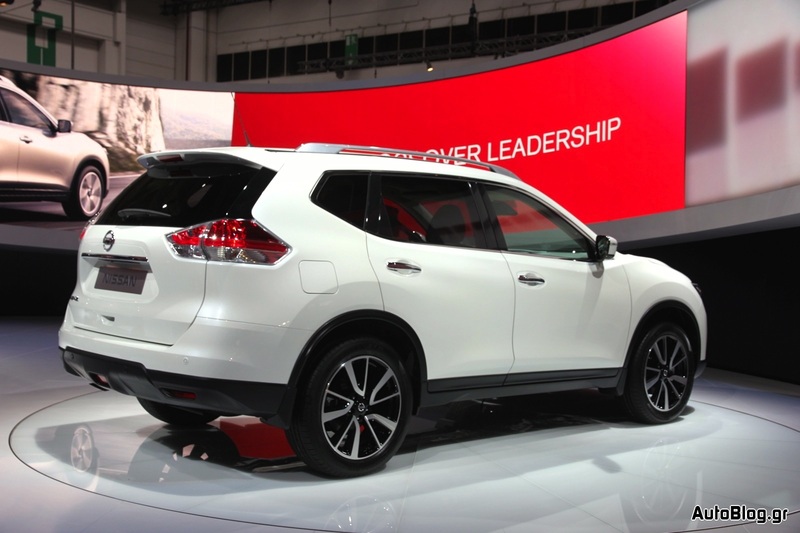 Finally new X-Trail benefits from Uphill Start Support and Advance Hill Descent Control. 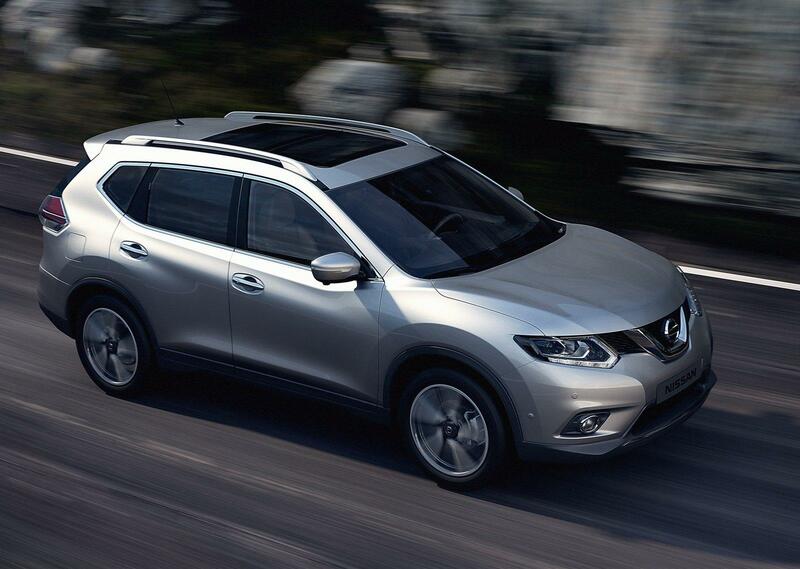 Drivetrain During new X-Trail’s development, refinement, environment and economy targets were to be best in class. 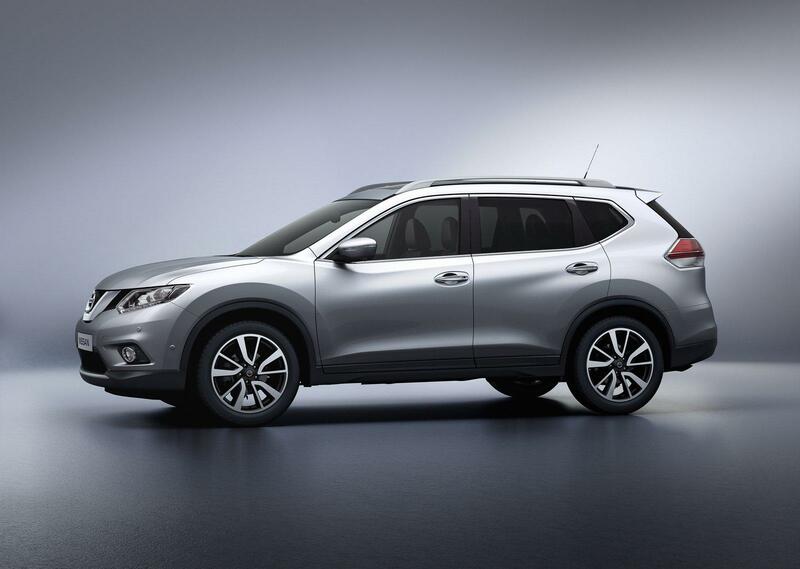 This has been achieved on all counts by reducing weight wherever possible, even though new X-Trail has a larger surface area than the previous model. 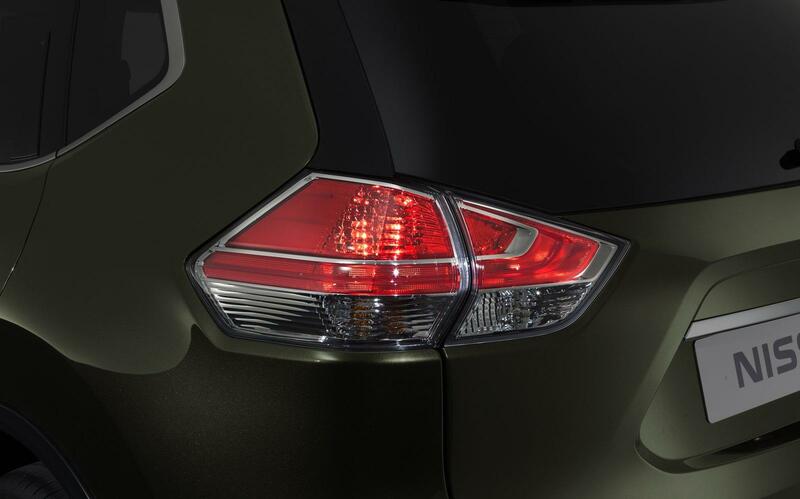 The tailgate, for example, is largely plastic, saving seven kilograms. 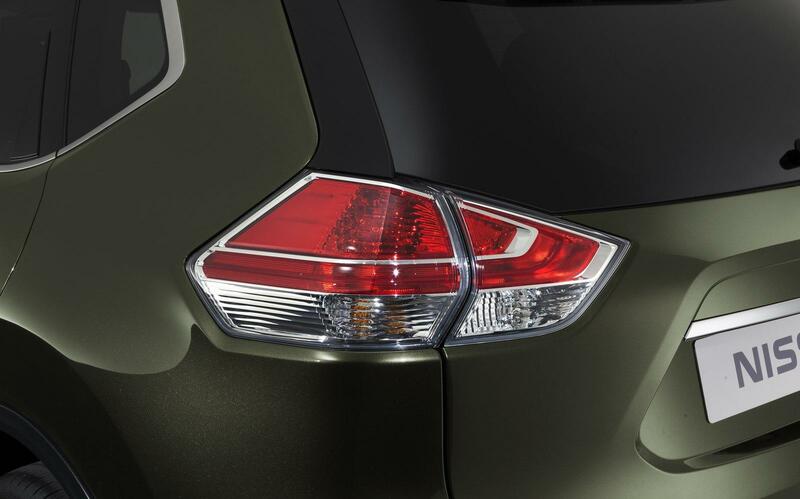 A great deal of attention has been paid to the car’s aerodynamics with carefuly shaped door mirrors, and even a spoiler that covers the exhaust box and rear panel. 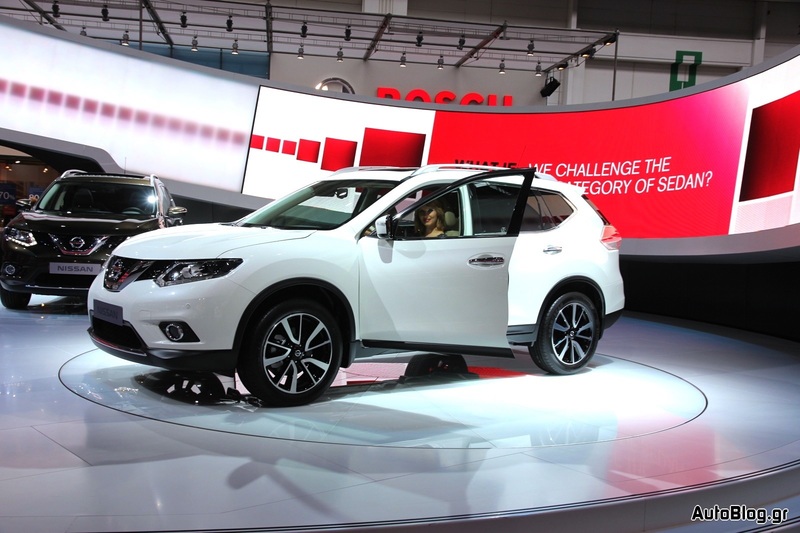 Engineering innovation will also allowed new X-Trail to lead its class in terms of engine efficiency thanks to downsizing. 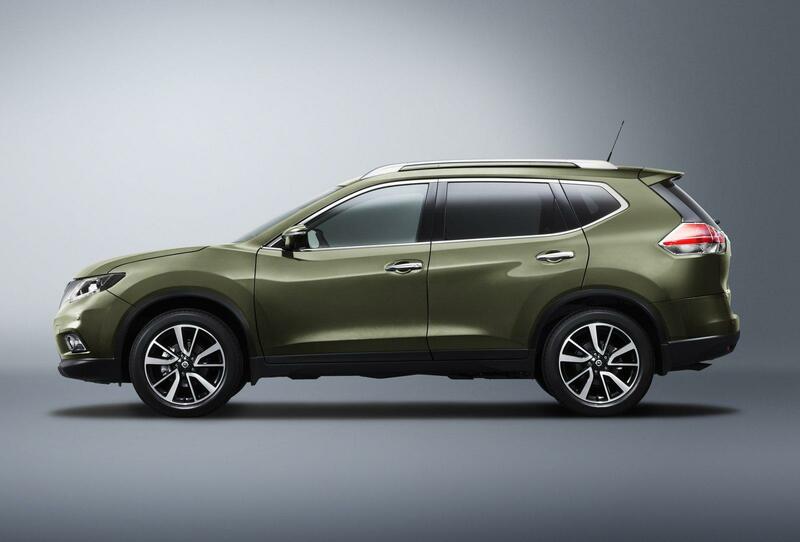 By reducing power sapping friction in its drivetrains, new X-Trail provides excellent perforamnce from the latest generation of downsized engines, providing the pace of a bigger powerplant with the economy and emissions of a smaller one. 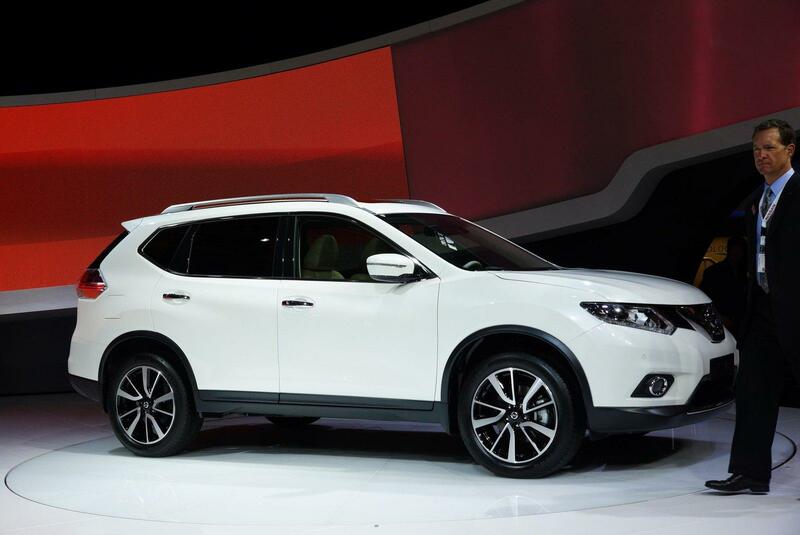 Further details of new X-Trail engine and model line-up will be released closer to the car’s on sale date in Europe next year.